Aaron has been in love with Disney since a very young age, taking his first trip when he was 4 years old. Disney World has always been his home away from home, though he never had the chance to live there. Some of his favorite things to do in Disney World are: riding the Haunted Mansion, eating as much Dole Whip as he can, and making sure to track down every Disney princess before he leaves. 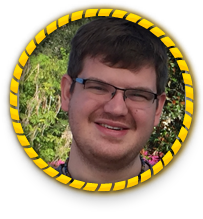 He has decided to become a Magical Vacation Planner because he loves the magic of Disney and wants to help others experience all he has experienced. Outside of vacation planning, Aaron is an Elementary School Teacher (yes, with a Disney themed classroom) and actor. Each and every day, his students enter Disney World and experience as much magic as he can (without the help of Tinkerbell!) He loves teaching the future of our world and bringing them up on the values of the Walt Disney Company. 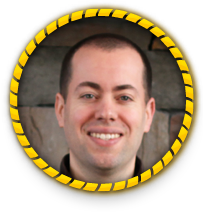 Feel free to contact Aaron today, so that he can help assist you with your special and magical vacation! Hi! I’m Abbey and would love to help you have an amazing vacation, whether it’s in California or Florida. I currently work at a global talent agency, dealing with all sorts of clients, and help out in the travel department as well. I take pride in my customer service skills and will always put you first. Your happiness is my job! I grew up traveling to Disney with my family, leading me to the Disney College Program. I worked at the Magic Kingdom, where making magic for Guests was just part of a day’s work. Working there taught me so much about giving each Guest their own unique experience. We’re all different – so why should our vacations be the same? My love for Disney has only grown through the years. I’ve cruised with DCL, am an annual passholder at Disneyland and visit Disney World as often as I can. I am a huge Disney Princess fan. All my friends, family and even my boyfriend’s family know me as their own Disney Princess! I am constantly getting asked for travel advice, tips, and any questions related to Disney. I honestly love planning vacations, making people happy and, of course, anything Disney – so this is the perfect job for me. My mom, another huge fan, will be helping me out as well so you can be sure to have two experts on your case. This Disney Princess will make your vacation as magical as can be! My specialties are travelling as adults, as a couple, girls’ trips, with kids of all ages, teenagers and solo trips (yes, these can be done and are still super fun). Abbey began her journey with Disney at a young age traveling with her family growing up. The feeling that you get when you first enter a Disney park is like no other! Abbey had to share this feeling with her husband, and they went on one of their first vacations together while dating to Disney World! Her husband too, fell in love and they incorporated Disneyland into their honeymoon while visiting California. Now that have two young children, they have returned several times to share that feeling of magic with them. Seeing your child’s eyes light up when entering Disney is pure magic to watch! Abbey enjoys many aspects of Disney and likes to try new experiences each visit, whether it’s trying new restaurants or staying at a different resort. Because of this, she has a wide range of knowledge about different levels of resorts and types of restaurants! She can also help with travel parties of any number, being that she has travelled with parties ranging from 2 to 15 people! Allow her to take the stress out of planning so you can truly enjoy every aspect of your magical trip with your family and friends! Hello everyone! Just a little bit about myself. I am married with 2 children. I have a dog and 2 cats. I developed my love for Disney in my first trip at 16 years old. It was a wonderful experience and something that has continued as I’ve gotten older. I am a big kid at heart and will definitely show in conversations about Disney. I look forward to helping make your vacations as magical as mine have been. Adelaida joined our team in 2015 and has been a Disney veteran since 1976. Her family and close friends know her as “Tinkerbell/Hada Madrina” for her deep passion and love for everything about Disney. In 2011, accompanied by her husband and three children, she decided to move closer to the magic. This allowed her to frequently visit the parks and enjoy each of the unique attractions, festivals, hotels and restaurants the Walt Disney World Parks and Resort has to offer. 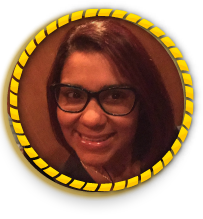 In 2014, she started her own blog where she documents all of her magical experiences for the Hispanic audience #orejitasmagicas. She’s has planned more than 150+ “Magical Moments,” by creating unique experiences for all her family members, friends and followers. 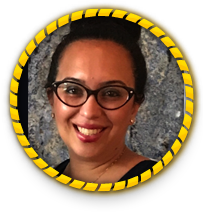 Adelaida is ready and more than happy to use her knowledge and experience to help you make the best out of your next trip to any of the incredible destinations Disney has to offer! She would love to help you plan your next magical Disney Vacation. Adelaida se unio a nuestro equipo en el 2015. Su familia & amistades la conocen como “Tinkerbell/Hada Madrina” por su profunda pasión y amor por todo lo relacionado con Disney. En 2011, acompañada por su esposo y sus tres hijos, decidió mudarse al ciudad de Orlando. Lo que le permite visitar con frecuencia los parques y disfrutar de cada una de las únicas atracciones, festivales, hoteles y restaurantes que Walt Disney Parks & Resorts tiene para ofrecer. En 2014 comenzó su propio blog #orejitasmagicas en donde documenta todos sus experiencias mágicas para la audiencia hispana. 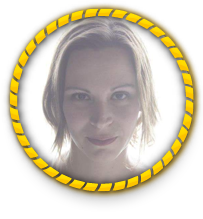 Ella ha planeado mas de 150+ “Momentos Mágicos” no solo para su familia sino para sus amistades y seguidores de su pagina mediante la creación de experiencias únicas para todos. Adelaida está lista y más que dispuesta a utilizar sus conocimientos y experiencia para ayudarle a sacar el máximo partido a su próximo viaje a cualquiera de los destinos increíbles que Disney tiene que ofrecer! Adrianne first visited Disneyland at age 2, convinced she had Pixie Dust running through her veins. Her love of all things Disney began during that trip, a love that has grown throughout her life and is now shared with her family. 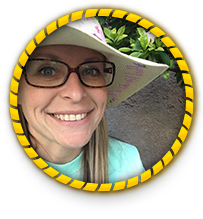 As Annual Passholders, along with her husband and two daughters, Adrianne has adventured and explored her way through Disneyland and California Adventure, discovering all of the hidden gems the parks have to offer. 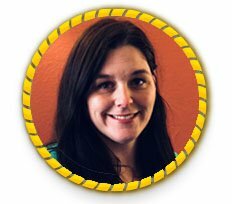 Adrianne has stayed in all three of the Disneyland Park hotels, as well as many of the Good Neighbor hotels located near to the parks making her uniquely qualified to help your family make the best lodging decisions for your trip. She has visited Disneyland during all of the various special events that happen throughout the year, such as Mickey’s Halloween Party, the Festival of Holidays and the Lunar New Year and even participated in RunDisney events, like the Tinkerbell 5k. No matter what time of year your family decides to visit, Adrianne can make sure that you do not miss out on any of the magic! 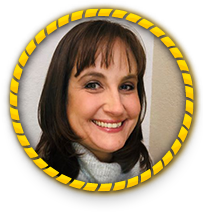 Adrianne’s other love in life is travel, and she has visited most of the United States and traveled extensively throughout Europe, even making time to see Tokyo Disneyland and Disneyland Paris. Wherever your heart desires to go, let Adrianne sprinkle some of her Pixie Dust on your vacation, creating magic and memories that will last a lifetime for your family. I will never forget my first visit to Disney World, my son was 9 months old and I was so excited to finally experience the magic of Disney! It’s hard to believe that was almost twenty years ago and since that time, my family has visited Disney World almost every year, we have cruised on the Disney Magic, and now my husband and I travel to Disney without kids at least twice a year! I enjoy sharing my Disney experiences and would love to help you and your family plan your perfect Disney vacation. My goal is to make your vacation planning stress-free, so let me help you start making your family’s magical memories today! I am so excited to be a part of the MVP team. My first trip to Disney World was when I was 7 years old, what an incredible experience, I remember EVERYTHING. I grew up going to Disney World and all of the parks every time I visited. I have also hopped over to the West Coast quite a few times to check out DisneyLand. I have so many incredible memories of Disney as a child. I visited with my parents and grandparents so many times. I am forever grateful for the memories and the time we spent together exploring each and every park. As an adult, I have had the privilege of taking my sons (I have 3 of them) to the parks every few years. My love of everything Disney has most certainly spread to my children. My ultimate goal as a parent is to make memories that will last forever in the mind and heart of each of my boys. My love of everything Disney has crossed into my love of theater. My boys and I have seen The Lion King and Aladdin on Broadway, such a magical way to experience some of my favorite movies. I look forward to working with you to plan the most magical trip of your life. Alaina is an avid Disney traveler and enthusiast. She lives outside of Atlanta, Georgia with her husband and 3 young boys. She and her family have been vacationing at Disney World for years. Some of her fondest memories from childhood revolve around her family trips to Disney World. She and her husband strive to create the best memories for their children by making as many Disney trips as possible. 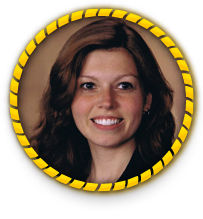 When she is not traveling or planning her next vacation, Alaina works as an Attorney. Alanna got hooked on Disney when her grandparents took her for her first time when she was 18 months old. Despite living in New Hampshire she has been several times to Walt Disney World, and tries to go at least once a year to keep updated on the ever expanding parks. Alanna loves everything Disney and even had a Tangled themed wedding and spent ten days at Walt Disney World and Universal Studios for her honeymoon. This is an absolute dream job for her. She meticulously has been planning her own vacations for years and will put the same if not more effort into anyone else’s. She is the go to person for all of her friends and family and is always there if you need help. She knows the parks backwards and forwards and can guide you at any point. She can not wait to get started making your magical vacation package for you today! Since watching my first Disney movie as a child, I have been an utter Disney enthusiast. I took my first Disney World vacation in 1995 and I have also had the pleasure of visiting Disney destinations numerous times as an adult. Some of my other passions include reading about Disney, listening to Disney podcasts, watching YouTube channels on Disney… you get the picture! I am a Disney dork! Planning a vacation, especially a Disney vacation, can be overwhelming. That’s where I come in. Bringing the happiness and excitement of travel to others (and minimizing stress) is a true joy. I am looking forward to helping you plan your next magical vacation! Alexandra has loved all things Disney since she was a young girl, as a parent her love and appreciation for the intricacies of a Disney Vacation has flourished. With two young children, her family began taking Disney vacations when her son was 2 years old and her daughter was 5 months old, proving Disney really is for all ages. Each year they’ve expanded their trips, stepped outside of their own boundaries even traveling to Disney properties a few times each year. Between Disney World, Disneyland, runDisney events, staying in various Disney resorts and the Disney Cruise, character dining remains one of her favorites, in particular Cinderella’s Royal Table and Be Our Guest in the Magic Kingdom! The first time Alexandra’s son met Peter Pan, he stood in front of him with his mouth open, unable to speak because he was so enamored. Her daughter, a princess at heart, has experienced transformation at Bibbidi Bobbidi Boutique. These are just two memorable moments that has led her to share her knowledge, to help families experience the Disney magic and make their own special memories! Alexandra’s innate attention to detail can help you get the most out of your next vacation! Hi, my name is Alexandria. I am a Mom of two children with a loving husband. I have had the most amazing vacations at Walt Disney World and the Disney Cruise Line, with my first cruise being on the Disney Dream. I have had a fantastic time vacationing all over the Walt Disney World Properties as well. Walt Disney World is always changing keeping one foot in the past and one in the future. I hold a degree in Travel and Resort Marketing and had the great pleasure of completing the Disney College Program as well as the Advanced Internship Disney Vacation Club on Hilton Head Island, SC. My Professional career began at Disney Hollywood Studios in Merchandise, where I have twenty years of customer service experience. I have been helping my friends and family plan their vacations for years, and my job is to make sure you have the best possible vacation where memories are of smiling faces and great times. Sit back, let me take care of the details. From solo trips, to couple getaways, to family’s vacations to family reunions, I can plan your next vacation. Alexi has a particular belief that motivates her each day: that an experience at Disney is not so much a vacation, but a state of mind! Alexi’s first trip to Walt Disney World was at age 2. Soon after, her family relocated to the West Coast, and since then, she has been visiting Disneyland as an annual pass holder several times each year, and she visits Walt Disney World an average of twice per year. Disney has always been and will continue to be a huge part of Alexi’s life, and she could not be more thrilled to now be able to share Disney magic with others as a career. 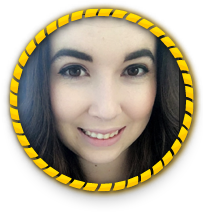 In addition to Disney, Alexi’s has an immense passion for travel in general, and will “geek out” for hours discussing her favorite destinations or places that she would most like to visit next. In her spare time, she enjoys writing, painting, playing the drums and, of course, watching classic Disney movies. Alexis is a single mom who started taking her two girls to Disney as babies! Never being able to afford a trip there as a child, she wanted to make sure her kids had the experiences that she never had. Disney World has become their home away from home and they visit as often as they can. Now they are planning to start experiencing the Cruise Line and Adventures by Disney in the near future. She has also visited the other Disney Resorts and can offer her experiences and love for everything Disney with her clients. Hi Friends! 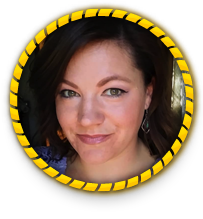 Ali here and I’m ready to plan your magical dream vacation! From my very first trip to the park as a teenager to now as a mother, I have had a love and passion for Disney! My family and I have made Disney an annual vacation tradition. I have quickly become my friends and family go to planner on all the tricks and trades of Disney! When I visit the parks you can usually find me Soarin’ in Epcot, tackling mountains in Magic Kingdom, taking a safari ride in Animal Kingdom, shooting with Buzz Lightyear and Friends at Hollywood Studios or eating anything Mickey shaped everywhere in between. While I have my must do traditions eating fries with cheese sauce by the pool, I also have to try the latest restaurants, rides, and shows each visit. I’m always up to date with Disney parks and their latest trends and updates. When I’m not at Disney, you can bet I’m reading about it. My friends know I have the answers to all their questions like, “What rides do I need to fastpass?” or “Where can I find Mickey and Minnie together for a meet and greet?” Although my first passion is Disney, I love to plan vacations, so whether it be a cruise on the seas, honeymoon at sandals beach resorts or magical Disney you have a friend in me and I am here to help you plan your dream vacation! As a single mom and lawyer, I love Disney because it offers a break from the chaos of daily life. I simply love that you can disappear into the Magic… I mean MICKEY will visit you during a dinner that you don’t have to cook!!! As a small business owner, and mom-preneur, I believe in doing what you love and loving what you do. I love Disney for always making our vacations memorable and accommodating my family’s needs without hesitation. My son has physical special needs and food allergies. I have never had to stress those differences when we are in the Parks or Resorts. Our Disney trips are a respite from those day-to-day worries for me. My personal Disney experiences range from multiple single and multi-family Disney World trips, RunDisney Girl Trips (Yes! … I have Dopey-ed) and a magical cruise experience with our extended family. Other than Disney, I love spending time with my tribe of family and friends. I love live music and fun dining experiences (Disney offers both of those year round!). 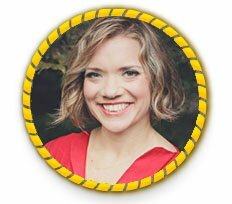 I decided to become a Disney planner to help support my daughter’s competitive dance experience… and because I believe in the Magic of Disney and want to help everyone have magical memories to last a lifetime! I have have been blessed to “do Disney” with my kids, their aunts and uncles, my nieces and nephews, my mom and some of my closest friends. Disney, for us, is about capturing life’s fleeting moments and spending quality time together. Hello, my name Alicia, I would love to help you plan your Magical Vacation. I am a devoted wife and mother of 2 girls who are just as obsessed with Disney as I am. We have a Yorkie name Captain Jack Sparrow (Sparrow for short) and several horses, our noble steeds. I grew up only a few hours away from Disney World and started going as a toddler. We would go every chance we could and almost every holiday. When I was younger hardly anyone went to Disney World on holidays, leaving the parks almost empty and all to ourselves. Over the years my passion for Disney has grown to a true obsession. From going to the Parks, to watching the movies on repeat, or even singing Disney Karaoke there is no denying I am a Disney Girl! Disney World is like my second home. Now having children my heart is so full of joy as I see the magic of Disney in their eyes every time we see Cinderellas Castle or step foot onto a Disney Property. The movies come to life and dreams do come true. With my knowledge and pure passion for Disney I will make it my goal to do everything I can to help you have the most magical Disney vacation imaginable. Alicia is excited to plan your Disney vacation! With over 35 visits to Walt Disney World, she has a true passion for the Mouse. With her husband Mike and daughter Samantha, Alicia travels several times a year, with at least one trip to Walt Disney World. She has experienced Disney in all stages of life, in all seasons, and on all budgets. She will guide you to have a magical time! I’d love the chance to make your next Disney vacation your most magical trip yet! There is nothing more exciting than traveling to Disney, but planning a Disney trip is a close second. Alicia was introduced to the magic of Disney as a young child and fell in love with it instantly. When her parents took Alicia to Walt Disney World for the first time, she knew she found her home. In the years since that first visit, Alicia has experienced Disney as a single adventurer, on a couple’s trip, and as a mom over many trips to Walt Disney World and Disneyland. 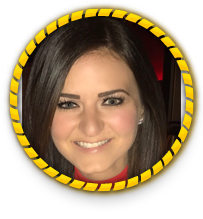 Because of the variety of ways she has experienced Disney, Alicia has a plethora of knowledge and can create an experience filled with the best rides and the latest snacks and restaurants for you and yours. She’s has extra special ways to sprinkle pixie dust on your Disney experience! 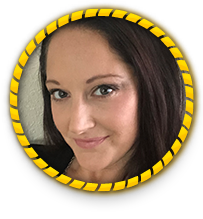 Alicia is able to listen to your vacation dreams to plan a once in a lifetime family getaway or a last minute weekend trip. 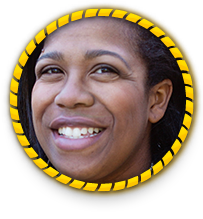 Alicia is a military spouse who loves to travel and explore the world with her family. One of her favorite past times is spending time with her children and nurturing the next generation of Disney addicts in them. Alicia is the one family and friends call when they need Disney advice or want to book a trip. 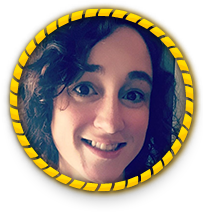 Come be treated like family as Alicia helps you plan a magically adventure like no other! Experience in: runDisney trips, multigenerational trips, solo trips, adults only trips and trips with young children. I began traveling to Walt Disney World annually with my family starting in 1980. We expanded our travels to Disneyland and Universal California in 1989. My husband and I continue the Disney tradition with our own family. We have three children, ranging in age from 3 to 10. Our oldest son has Autism and is happiest when experiencing the thrills of Space Mountain or Tower of Terror! 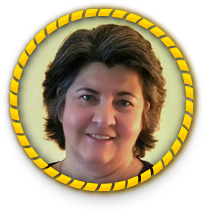 I am an IBCCES Certified Autism Travel Professional (CATP). Because of our own personal experiences, I want to help others that may be hesitant to travel due to a disability or fear. I have experienced Walt Disney World countless times as a child, a spouse, a school group participant, a special needs parent, and as a parent of a toddler and infant. I have also experienced the parks while pregnant, which had its own set of challenges! We have traveled all over the world, including 43 states and 12 countries. And I try to cruise at least once a year. Whether a romantic getaway or a trip with the kids, I would love to help you have a relaxing vacation without all the legwork. For me, the legwork is almost as much fun as the trip itself, so let my passion for family, travel, research and planning go to work for you! Alina’s love for all things Disney began with her first trip to Walt Disney World at the age of 4. This love continues to grow as an adult as she visits Disney at least once a year, whether it be a trip to the parks or a Disney cruise, with her husband, Daniel, and her daughter, Emily. Alina has stayed at many Disney resorts from value to deluxe and has had enjoyed countless meals at both quick service and table service restaurants all around Disney property. 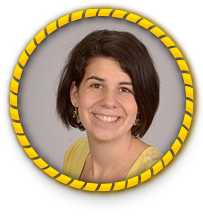 Alina’s passion for Disney is even evident in her career as a middle school ELA teacher. Her co workers and students know all about “Mrs. Mason’s” Disney obsession! 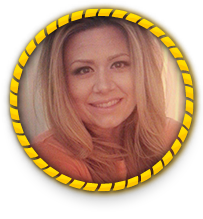 Alina would love to share her love and knowledge of Disney to help you plan your next dream vacation! Hi! 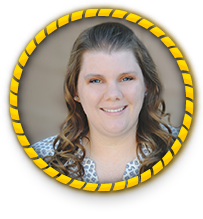 My name is Alisha, and I would be thrilled to help you plan your next magical Disney vacation! I am an Army wife, a Mom to 2 girls and a lover of all things Disney! I fell in love with Disney World on my 5th birthday and I haven’t stopped going back! With Disney, there is always something new to explore or experience! Some of my most cherished childhood memories were at Disney World, and many of my favorite memories of my girls are at Disney World, Disney Aulani, Disneyland Tokyo or on a Disney Cruise! There is just nothing better than a Disney Vacation! I can’t wait to help you start making memories at the happiest place on Earth! Destinations: Walt Disney World, Disney Cruise Line, Adventures by Disney, Disneyland, Disney Aulani, Royal Caribbean Cruise Line, Carnival Cruise Line, Norwegian Cruise Line, Princess Cruise Line, Celebrity Cruise Line, Viking Cruise Line, Azamara Cruise Line, Sandals and Beaches Luxury Inclusive Resorts and Universal Studios. Areas of Focus: Family Trips, Couple Getaways, Planning with Children and Infants, Group Travel, Honeymoons, Planning with a Budget. 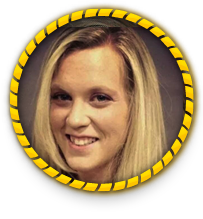 Alison is an avid traveler and Disney lover! I fell in love with the magic of Disney as a young child visiting with parents and siblings. Once married with young daughters, our family began annual trips to experience the magic that is Disney. Those trips created a lifetime of cherished memories that we continue to add to even now that our girls are grown. In addition to Disney, I’ve been lucky to have had the opportunity to visit and vacation in a wide variety of destinations. This includes cruise vacations as well as destinations within the United States and abroad. Whatever your vision for your next vacation, let me help you make it a magical experience where your dream come true! Ever since childhood, I have loved going on vacations! Who doesn’t!? I love relaxing at resorts & on beaches, exploring multiple destinations on cruises, eating all different kinds of foods, & most of all, going back to Disney World over & over again! I’ve experienced Disney many different ways starting with family vacations growing up. Eventually the planning became up to me! Vacation planning, especially Disney, can be stressful & overwhelming but I love to research & am very detail oriented! I showed my husband the “adult side” of Disney the first time we went together! We dined at fancy restaurants, got couples massages, & enjoyed the nightlife. Now that we have a toddler, I have experienced Disney in a whole new way & I look forward to new experiences & every trip being different as he grows up. My family also loves cruising! My husband & I got engaged on a cruise so they always bring back those special memories! I love keeping up with new ships being built & what they have to offer, as well as their destinations. I’ve explored many places in the Caribbean but Bermuda is my favorite! I find the planning & anticipation of a trip also enjoyable & love to help & ease the stress of others that may not feel the same! I also love to share my knowledge & help others create their own memories! Allison first traveled to Walt Disney World with her parents when she was four years old and has been hooked ever since. 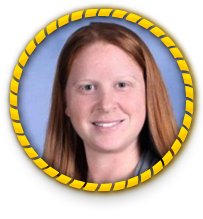 Moreover, Allison’s passion for Disney has increased since she became a high school math teacher, allowing her to explore the intricacies of the parks. Despite living 1,500 miles away, she is an annual pass holder and meticulously plans her own trips to Florida. She also organizes visits to Disney for all of her family and friends, always eager to plan the next adventure. 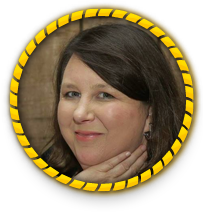 She is an avid reader of Disney books and blogs, keeping up-to-date on all current and future developments at Walt Disney World. 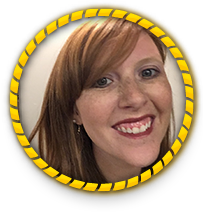 Allison’s first hand experiences stretch from Disney’s parks to its various special events such as the Magic Kingdom’s holiday parties, Epcot’s many festivals, and runDisney races. She hopes to soon experience Aulani, and would like to visit all the Disney theme parks around the world. 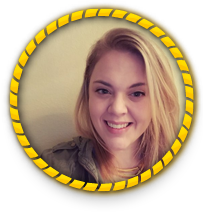 Allison is very enthusiastic about planning trips Disney vacations, and hopes to make a Disney adventure just as magical for others. 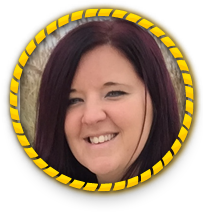 She is excited to get started on this journey of being a Magical Vacation Planner and she would be happy to help you plan your trip! Areas of Focus: Walt Disney World, Disneyland, Resort and Dining Recommendations, Family Travel, Adult Only Travel, Honeymoons, runDisney events, Apparel and Accessories. I was lucky enough to grow up in a Disney World loving family, and I have kept that tradition going with my own children. I love the planning and anticipation of the trip almost as much as the trip itself. Having been to Walt Disney World & Disneyland as a child, a young adult and as a parent I have the experience to help you create a Magical Vacation just right for your family! Allison’s love for all things Disney began with her first tri in 1989 and it has continued to grow ever since. 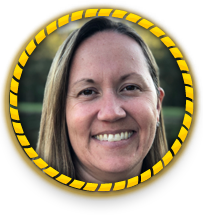 Once Allison’s family became Disney Vacation Club owners and Annual Passholders in 1998 she has been fortunate enough to enjoy Disney multiple times a year, and has been able to take pleasure in many different aspects of the resorts and parks. With all of these great experiences. Now that she is an adult she finds great joy in traveling with her husband and children. This has made Allison the go-to for friends and family members that are looking to enjoy a trip to the most magical places on earth, anywhere Disney. With all of the experience she has gained Allison is a firm believer that every family and individual who travels to a Disney park and resort is different and has unique preferences and pace for their trips. 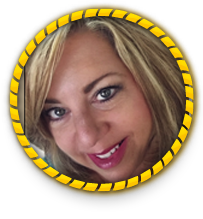 As a Magical Vacation Planner she is excited to help you tailor your trip to your wants and needs. With all the breathtaking experiences Allison has had to Disney she now receives the most joy from seeing and hearing about other’s amazing trips along with all of their great and new memories. Areas of Focus: Walt Disney World, Disneyland, Disney Cruise Line, Dining Recommendations including dining with Food Allergies, Family Trips, Traveling with Children and Infants, Honeymoons, and Holiday and Special Events. There is nothing like hearing the words Welcome Home. I get goose bumps every time. I have been to Walt Disney World 20+ times, it feels like the first time visiting every time. I am a Disney Vacation club owner at Bay lake tower ,and have also stayed at multiple Disney resorts, and used all meal plans. I have sailed on the Disney Dream and the Disney Wonder. My love for Disney started with my Mom . My mom was a Disney fanatic and turned me into one as well. I have two young daughters who also share in my love for Disney. Sharing my Disney experience by booking vacations is my way of sharing my Disney enthusiasm with others. 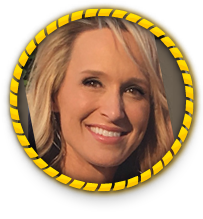 Allison Simpson is a homeschooling mother of three residing in the suburbs of Charlotte, North Carolina. With her family she loves to travel and Walt Disney World is the favorite destination. She doesn’t leave the magic at the resorts! She loves to incorporate Disney magic into her life on a daily basis. She visited the parks for the first time on her honeymoon in 2003 fulfilling a lifelong dream. Once she became a parent she wanted her children to feel the same magic she felt on her first visit. There is always something new to see and experience and so the regular visits began. 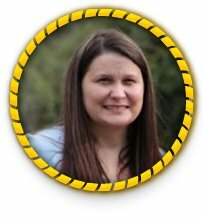 As a homeschool parent she has been able to visit the parks at different times throughout the year. The extra magical experiences such as parties, festivals, character dining, pin trading, etc. are an area of expertise. She can help you make the vacation an educational experience as well. 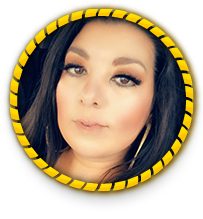 Through extensive theme park and resort experiences since 2003 she has gained a wealth of knowledge that she would love to use as she helps you plan your magical Disney or Universal vacation. Allison has been vacationing at Walt Disney World Resort since she was five years old. 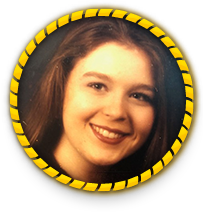 Along with childhood family trips, she also traveled as part of a large group of teenagers and as a young adult with friends. Her most magical memories have come from experiencing Disney Parks with her own husband and children. Allison’s children have grown up vacationing at Walt Disney World Resort too, traveling as infants through their current teen years, so she’s experienced what’s involved with each of these age groups. They’ve had extended family trips with grandparents and cousins, and Allison and her husband have also snuck away without their children! Their family has stayed in all resort categories – Value, Moderate, and Deluxe – so she can help you find just the right fit for your family. Along with Walt Disney World Resort, her family loves sailing on Disney Cruise Line! Their favorite experience has been their “Land & Sea” vacation, where they began with a few days at Walt Disney World followed by a Very Merrytime Cruise over Thanksgiving. Disney Cruise Line is the perfect way to relax after the hustle and bustle of Walt Disney World! Allison’s dream is to visit every Disney Park around the world. 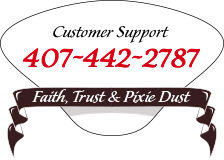 She hopes to help sprinkle pixie dust on your family’s magical vacation to make your own Disney dreams come true! As a lifelong Disney lover, it is a dream for Allyson to be able to plan your family a magical vacation to remember forever. Allyson and her husband have taken more than a dozen trips to Disney World, as well as sailed on Disney Cruise Line ships! Look no further for expertise on everything Disney including dining, optimal times to visit, Disney Cruise activities, Fastpass recommendations, and budgeting while on a magical Disney Vacation. I’m a mother of 2 young children who is passionate about fitness, crafting, and, of course, Disney! My family travels to Disney destinations a few times a year to include sailing with Disney Cruise line. My firsthand experience makes me the perfect Disney planner. I’ve been the unofficial Disney expert amongst my family and friends for a few years now and I love helping other people plan the perfect vacation for their families! Alyssa is a wife and mother of two young children. Spending time with family and traveling are a few of her favorite things, along with Disney, of course! Her family and friends often ask for her help when planning their vacations, whether it be Disney, the beach, or across the country. They absolutely love her meticulous planning yet flexible personality. Alyssa has loved all things Disney her entire childhood. She still remembers how Main Street smelt her very first visit at age 10. Marrying her high school sweetheart in 2013, they both knew annual Disney trips would be a must for their family. Alyssa has experienced Disney during every season from Easter to the 4th of July and Halloween to Christmas. Additionally, she has also experienced the various resorts Disney has to offer from the value resorts to the moderate and deluxe as well. Alyssa absolutely loves planning vacations for people especially when it comes to Disney. Her friends and family often joke about the thrill she gets from scoring some of the most prized fast passes and advanced dining reservations. Whether this is your first trip or your fifth, Alyssa will be sure to take the stress of planning a magical vacation off of your hands so you and your family can focus on creating memories for years to come. 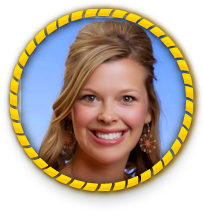 Alyssa is a travel loving mother of a crazy toddler boy who has a passion for all things Disney. From jet setting around the world to a 3-hour drive to see family she believes that every trip should be as memorable and significant as the other. She has countless trips to Disneyland, California Adventure, Disney World, and even at trip to Disneyland Paris. With her attention to detail she will ensure that your vacation will be talked about for years to come. 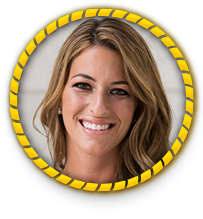 She will personally work with you to customize your vacation to make sure that it is magical. I am a wife, mother, and Disney lover. My love for Disney started at a very young age of 6 when I vacationed to Walt Disney World for the very first time. Since then it has only grown. I developed a passion for all things Disney when my husband and I started our own family. I started getting antsy between our trips. Visiting the Disney Store once a week just wasn’t cutting it. So I thought how cool would it be to help others plan their Disney vacations. I can honestly say connecting with old friends and new friends to help plan their magical vacation at the most magical place on earth is truly a blessing. Amanda first fell in love with Walt Disney World as a small child and it has remained one of her favorite places to vacation. She quickly converted her husband to a Disney fan, and now she, her husband and 2 small children vacation at Walt Disney World or on Disney Cruise Line as often as they can. Amanda has traveled to Walt Disney World and on Disney Cruise Line many different times, each time being a little bit different from the last. She has traveled with just adults before having children, as a family of 4 with a toddler and infant, on an extended family trip with 13 people including grandparents and great grandparents, and in a group of 9 including 5 children. She has stayed at many resorts on property and visited Disney World for as short as 2 days and as many as 12. All of these experiences have given her the insight that what works for one person may not work for someone else but that there is something at Disney, and on Disney Cruise Line for everyone! 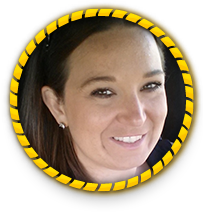 Amanda can’t wait to share her love of Disney and start helping you and your family plan your magical vacation. Hi and welcome to my Magical Vacation Planning site. I love to travel and have turned that passion into helping others plan their perfect vacation. With my past experience as a flight attendant and traveling to Disney since I was 2 years old, I am now passing my love of Disney and travel onto my own daughter. I can’t wait to help you so lets get started!! I have always been a Disney fan. I love the magic that Disney brings to life. I am a wife and mother. We have made so many fun memories at Disneyland, and Disney World. I love to help people plan their trips. My family has been to Disney on a budget or when we had more to spend, we enjoyed all our vacations. I was in charge of planning a family reunion in Disney World for 30 people ranging in ages from 3 months to 67, including princess and pirates. Let me help you plan a magical trip. Hi ! 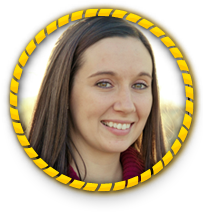 My name is Amanda and I would love to help you plan the most magical vacation you could dream. I have been visiting Disney World since I was 8 years old. From that very 1st time I just knew this was the most amazing vacation place. I have visited many times since then. During my college years I decided to take it to the next level and participate in the Disney College Program. I was a “cast member” in Hollywood Studios for an entire semester and it never got old or boring. I loved learning about different cultures and interacting with the many guests on a daily basis. That was an experience I will never forget! After that I had visited many times with friends and “Cast Members”. In 2016 my husband proposed to me at our favorite park, Epcot! All of these memories will last a life time and I am excited to make more. Now I can help you make them too! Contact me to make your Disney Dreams Come to Life. Hi! 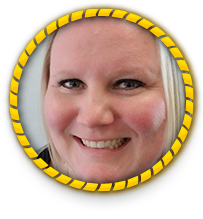 My name is Amanda and I’m excited to part of the Magical Vacation Planner team! My passion for Disney began when I went on my first family trip when I was 9 years old. Since then, I’ve gone back over 10 times and created the most magical memories with my family and friends! I have stayed at most of the resorts and have tried several of the wonderful Disney restaurants using the Dining Plan. My goal as a personal vacation planner is to ensure my clients have the best vacation to fit their needs without the hassle! My most memorable Disney vacation was in 2012 for my honeymoon. We experienced many things we have always wanted to try such as the Wild Africa Trek Safari, Backstage Tour of Animal Kingdom and Behind the Seeds at EPCOT. Our favorite part of the trip was having VIP seating for all the nightly firework shows – including a private cruise to watch IllumiNations from the canal between France and England at EPCOT! Want to know how you can do this too? It would be my pleasure to assist you! Whether you are looking to have an adventurous trip or a relaxing vacation, I am here to help you get started! Just call me the Mad Hatter; I am a woman of many hats, and I wear them all proudly. Wife, mother of 3, teacher, librarian, and vacation planner are my top 5! Making your vacation magical is my goal, and Disney, along with our other partners, have a way of bringing the magic straight to your door! I am still a kid at heart, which helps when raising 3 of your own. My kids love to pretend; from Pirate coves to Mermaid lagoons, we have fun vacationing where our stories come to life right before our eyes. If you want your family to have a dream come true vacation and create memories to cherish for a life time, then I am here at your service. One of the most vivid memories I have from my childhood was visiting Disney World for the 1st time and being told I was too short to ride Space Mountain. I was 5 and my older was 6 and she was tall enough to ride. As she walked into line, she turned and stuck her tongue out at me. Space Mountain has always been my favorite ride and it’s always my first ride. Since that first trip at 5, I have visited Disney World and taken Disney cruises with my family. I have become know as the “Disney Planner” in my family and have become the person that family and friends come to for Disney information. Last year, I fulfilled one of my “bucket list” dreams…joining the Disney Vacation Club. I look forward to sharing my love of Disney with my clients and to help them plan their dream trips. Hello, my name is Amanda Izaguirre. I am a Disneyland vacation planner who would love to help plan your dream Disneyland vacation. I consider Disneyland to be my home and know all of the ins and outs and secrets that this magical kingdom has. It is truly the place where dreams come true! Relieve yourself from the stress of planning an amazing vacation and let your family experience a hassle free trip when Amanda plans every last detail for you. Being a mom to 2 teenage daughters and 3 stepchildren, Amanda and her family enjoy spending as much time as they can with their favorite mouse. She has traveled with adults only, with infants, with toddlers, with teenagers and with special needs children. She has traveled in parties of 2-80, so she knows how to coordinate large groups without the “field trip” mentality. Amanda has found ways to make this so affordable that it’s hard not to go. 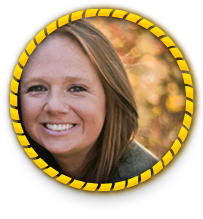 Amanda has planned numerous trips for friends, family and her competition dance team. In her own 25+ trips, she has learned many ways to save time and money so the experience is everything you could want and more. Some of her favorite times to go are during special events. Mickey’s Not So Scary Halloween Party, Epcot’s Food and Wine Festival and Mickey’s Christmas Party are definitely her favorites and not to be missed. Amanda’s family’s happiest memories are those of Disney World and she can’t wait to help your family make everlasting memories. If you are looking to play it by “ear” and relax on your trip or would like a color coded itinerary with hourly activities, Amanda is here to help. Don’t let all of the details overwhelm you, she will plan as little or as much as you would like. Hi, My name is Amanda. I have a wonderful husband and four teenage children who keep me on my toes. We may not be able to agree on what to have for dinner some nights but there is one thing we always agree on… we can’t wait to go back to Walt Disney World! I grew up on Disney movies; the animated features as well as the live action films. That is where my love of Disney began. Nowadays, I can’t wait to see the next film or TV show or even read the next installment of any book series based on Disney characters. I am a true Disney fanatic. Since my first trip to Walt Disney World in 2004, I have become enthralled with the richness of the universes created by Disney and its affiliates. There is no better experience than walking into the Magic Kingdom and feeling like a kid again. Each Disney park has so much to offer and each experience is truely magical. As for my Disney World travels, I have been to the parks a total of 10 times in the past 14 years. I have traveled with groups ranging from 2-15 so coordinating for any size group is no problem. I have also traveled with toddlers, kids, tweens, teens and even grandparents so I know what attractions, events and restaurants appeal to almost any vacationer. I understand the Fast Pass+ system as well as the Disablity Access Service Pass, having used both many times over the years. From travel and resort to dining and fast pass recommendations, let me help with the details so you can focus on getting ready for the most magical vacation ever. My name is Amanda Ochs, and I live in Southern Indiana. My love of Disney came from an early age when my parents took my sister and I on vacation to Florida every summer splitting the time between the beach and Disney. Disney being my favorite! When I was just 1, I went to Disney for the first time. Since then I have returned to the happiest place on earth a little over 20 times. For the last 11 years, I’ve got to experience Disney through the eyes of my youngest niece and nephew, from character dining, trick or treating at the Mickey’s Not so Scary Halloween Party, Bibbidi Bobbidi Boutique and tea at the Grand Floridian. I always feel this overwhelming sense of home when I walk down Main Street. I have experienced the Fourth of July, Christmas, New Year’s Eve, Birthdays, Mickey’s Not so Scary Halloween Party and lots of magical parades and fireworks at Disney. I enjoy sharing my Disney experiences with others and would love to share my knowledge and enthusiasm for Disney with you! With the many trips to Disney that I’ve had, let me offer you great recommendations for Disney resorts, dining, attractions, and much more and get you started on your dream vacation today! Hi! I’m Amanda. Fellow Disney lover and traveler. I love traveling, so I wanted to share my love of it with everyone else. What better way to do that than with the magic of MVP?! I am a stay at home mom with 2 boys. I also have my bachelors degree in education. My love of learning and traveling has brought me to where I am at in this journey. I want to share that love with everyone. Traveling opens new worlds and can be fun as well as relaxing. I want to help take the stress out of planning for you! I have been to Disneyland, Disney World, and Universal many many times. I know the tricks to making a smooth transition and vacation. I love our trips and want to make it the same for you. These are memories that last a lifetime!!! Make them great with the help of MVP. I have also done extensive training with Sandals. Beaches, and cruise vacations! I have not been able to experience one of these amazing trips myself, but I have trained on them and almost feel like I have. I can make those easy and stress free as well. I would love to help you with your next vacation!!! As a child, on a family trip to Disney world, Amanda witnessed a bride and groom getting married at the Happiest Place on Earth. From that day on, she knew Disney World was the place to start her Happily Ever After. In June 2012, Amanda married her Prince Charming at the Wedding Pavilion at Disney’s Grand Floridian Resort. Disney has always held a special place in her heart. She has visited Disney over 15 times in her life and continues to see the mouse twice a year. She has stayed at many of the value, moderate, and deluxe Disney Resorts. Her favorite resort is the Grand Floridian, where she stayed on her honeymoon. One of her favorite things about Disney is the dining experiences. Disney’s Polynesian Resort’s ‘Ohana, is her favorite places to dine! One of her favorite memories, are the annual girls trips to Epcot’s Flower & Garden Festival with her mother and sister! Her favorite snack option is the strawberry tart at Epcot’s France Pavillion, Boulangerie Patisserie. She now has two little Mouseketeers who have just taken their first trip to Disney World! She has learned the ins and outs of doing Disney with small children. Seeing her daughter meet and interact with the characters was priceless. Hearing her daughter tell Mickey that she loved him, was something she will never forget! Being a Disney family, naturally they have a red cocker spaniel named Lady and a black and white cat named Figaro! She is new to Magical Vacation Planner but loves planning trips almost as much as going on them herself. 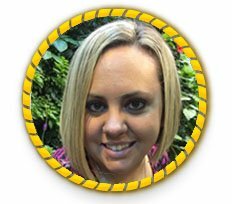 Amanda has experienced many of Disney’s annual events including: Epcot’s Food & Wine Festival, Epcot’s Flower & Garden Festival, and special ticket events like Mickey’s Not So Scary Halloween Party. Amanda’s love for Disney started when she was a young child watching the movies with her family and vacationing to Disney World. When she got older she discovered her love for rollercoasters and thrilling rides at Universal. As an adult she would take every chance she could to travel to both Disney and Universal. Now she is a season passes holder of both Disney and Universal and goes to at least one park once a week. 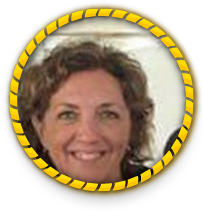 She knows tons of tips and tricks for enjoying park time with a large group, small group, children, or adults only. Allow her to help you make all your vacationing dreams come true. I’m so excited to be part of the MVP team and I am even more excited to help you plan your next Disney Vacation! Like many of you -I am a busy mom/wife and business owner! I love escaping to Walt Disney world with my husband and our 3 children. I’m well versed in Disney knowledge and want to help you and your family have the most magical trip! Keeping up to date with what’s new at Walt Disney World is a favorite pastime of mine. I look forward to sharing all my insider knowledge with you! Amanda has been traveling to Disney for many years, as a child, a college student, with her her husband, and now with their daughter. As a mother, she believes there is nothing more magical than turning the bend on Main Street and seeing the castle in the distance through the eyes of a child — Disney is something that can bring the family together. She believes that there is always something new and fun to discover at the “House of Mouse” and she would love to help you plan out your vacation. 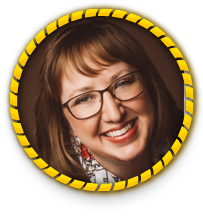 As a self-proclaimed “mega-planner,” she has helped to coordinate and plan many trips for family and friends during all times of the year, be it Halloween, Christmas, Spring, Summer, runDisney, Birthday or Anniversary celebration, or just a spur of the moment splurge. I fell in love with Disney vacations when I took my family for the first time in 2008. My youngest son and I love everything Disney and travel. The memories it creates and new adventures to be taken. We have been 12 times since 2008, staying at resorts from the Pop Century to Bay Lake Tower. We love the food and will plan our trips around what reservations are available. I am so excited to get to help you plan the most memorable trip! My first trip to Disney was in 8th grade for a class trip. I really was just along for the ride. But in 2015, I had my first child and decided now was a great time to visit again. I fell in love all over!!! I planned our entire trip (2 families, 10 people). I had everything planned down to what ride to ride when. This trip, we stayed a weekend on property at All Star Music and a week off property at a timeshare. We were then able to go again in 2016 for Mickey’s Not So Scary Halloween Party. It was a smaller group (5 people) during Hurricane Matthew. We still had a blast and made it work. Our last trip was this past June (3 families, 8 people). We also did the Disney Vacation Club tour at this past visit and we are now DVC members. I am a mother to 2 beautiful little girls and have experience planning vacations for families with small children (infants) all the way to grandparents (I took my 84 year old grandma in 2017). 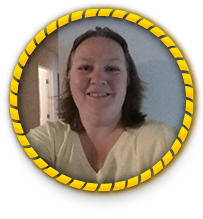 My name is Amanda Thomas and I hope to plan your Disney vacation! I first fell in love with Disney when I was in high school and knew that I had to go back. I was able to quickly turn my husband into a Disney fan and we have instilled the love of Disney into our son as well. We try and vacation in Disney as often as we can. The love of Disney has spread to our family and friends and they ask me to help plan their trips. I enjoy every part of the planning! From rides, to food and just being able to make new memories ! I love seeing people having fun and enjoying their vacation. My journey started as a small child running through the turnstiles at the Magic Kingdom tripping, falling and tumble setting towards the giant green mickey mickey that greets you every morning. Every Disney vacation day has been magical ever since! When I grew I wanted to be Goofy that water skis around the Seven Seas Lagoon. Never did I think one day I would run a half marathon around it! I have been an annual passholder in Orlando since approximately 2009, I have run several of the RunDisney races and visited Disneyland. I love planning trips for friends and family. Combining my love of travel and my love of Disney, I would hope travelers get to experience the excitement and the magic that comes with a great Disney vacation or cruise. Hi there everyone! My name is Amanda. I’m a Colorado girl, with a lifelong Disney addiction. My family and I travel often to the Disney Resorts, and I am beyond excited to help you plan and book YOUR magical vacation. Amanda is a Cleveland, Ohio native with a love of all things Disney! She currently is raising two young children, who she plans on taking to Disney World at least once a year. 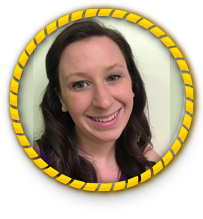 Amanda’s goal is to help others realize that Disney vacations are for everyone! Amber’s love for Disney started at a young age. She started traveling to Disneyland around 2 and has been hooked ever sense. Now that she is older she has been able to pass that love for Disney on to her children. In addition to Disney travel, Amber loves all kinds of travel to new places and to try new things. 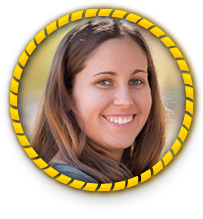 Amber’s expertise is the Disneyland resort but she has traveled to the Disneyworld resort, Downtown Disney, and Disney Boardwalk as well. 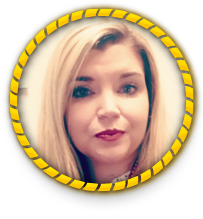 Amber’s passion is travel and she wants to be able to pass that travel passion on to you through the many options of travel Disney offers. I am a former Disney Cast Member who absolutely loves all things travel and Disney! I have been helping friends and family plan their vacations for years so I am happy to share my love of travel with even more people! Amber is a Native Texan with a love for all things travel, especially Disney. Her first trip to Disney World was with her youth group in the early 90’s and she has been positively hooked every since. 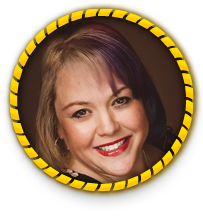 She has been to Disneyland, Disney World, and Disneyland Paris, and can offer lots of tips and tricks for all of the parks and resorts. If Amber isn’t at a Disney Park, you can find her on the beach. Amber is the lucky mama to a teenage daughter, who was properly raised the Disney way. Since she’s been taking her daughter to Disney Parks since she was 3, so she can offer a unique perspective of traveling with little ones and teenagers. In fact, her daughter is so excited that her mama is giving others a chance to experience the Magic, she has offered to consult and lend her youthful perspective! 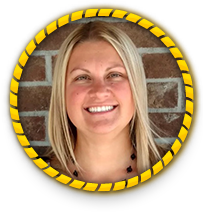 A concierge level of service is what you can expect when Amber is your personal vacation planner. She has a heart for serving others and making people smile. Her true desire is that you feel all the Magical greatness that travel brings. 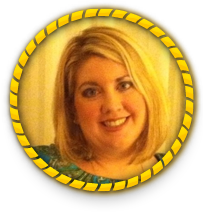 Amy was born and raised in Daytona Beach, Fl and knows all things Walt Disney World. She fell in love with Disney World at a young age. She is a Disney World Annual Passholder and has been for many years. 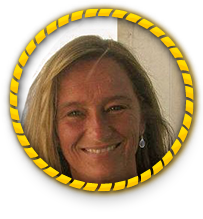 Amy is currently an Assistant Manager for a small independent hotel in Daytona Beach. She absolutely loves the travel and planning industry. Amy is very excited to start planning your dream vacation. Retired teacher who has travelled the world and looking forward to sharing her experience with others. Amy’s love of all things Disney began with her first visit to Walt Disney World Resort at the age of 2 in 1978. Along with childhood family trips every couple of years, she was also an intern and cast member at WDW during college and then moved on to take her husband for his first visit. Her most magical memories have come from experiencing Disney Parks with her own husband and children. Amy’s children have grown up vacationing at Walt Disney World Resort too, traveling as infants through their current young adult years, so she’s experienced what’s involved with each of these age groups. They’ve had extended family trips with grandparents and cousins, and 3-day weekend getaways without children! Their family has stayed in all resort categories – Value, Moderate, and Deluxe – so she can help you find just the right fit for your family. From fast pass selections to dining reservations Amy wants to make your Disney vacation a magical experience for all!!! Being originally from Florida, Amy took for granted how important Disney was for making magical memories. It was not until she and her husband took their daughter for her first Disney vacation that they appreciated the fantasy and wonder of Disney through the eyes of a child. Since October 2006, Amy’s family has had the opportunity to stay more frequently at several Disney deluxe properties where many special occasions, holidays, and life events have been celebrated. 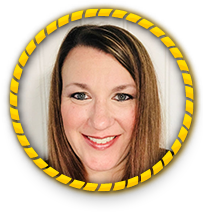 After moving to North Carolina, Amy’s family has been able to also experience the magic of Disney at Disney’s Hilton Head Island as well as travel on the Disney Cruise Line. The dream continues as their love for all things Disney grows. 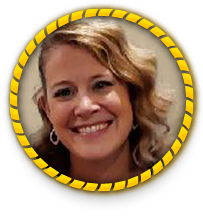 So, whether you are looking for a family vacation, a milestone celebration, or just a weekend getaway, please let Amy be of service in helping you plan your magical experience while making your Disney dreams come true. Based on a lifelong love and passion for Disney, I am a Disney theme park veteran and have experience in helping plan magical trips to Disneyland and Disney World. I would truly enjoy helping you plan your next vacation or getaway! Amy has loved Disney for years! She visited Walt Disney World a couple of times as a kid, but her true love for the parks really started on her honeymoon. She was married in 2002 and she and her husband, Bryan, visited for their honeymoon. They couldn’t wait to go back, so that is where they chose to go for their first anniversary also. They continued to go yearly after that. She has 3 children, Molly, Kaden, and Lexi, who share their mother’s love for all things Disney. They cannot wait for their trips and have now started helping her plan as well! 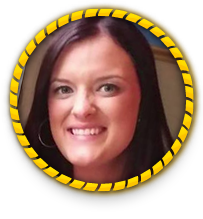 All of Amy’s friends and family call her to plan their trips, so she is super excited to be a part of the MVP team and get to do this for people every day. She has spent years learning the ins and outs of Disney and strategically planning her own vacations. She can’t wait to be able to share her knowledge with all of you! 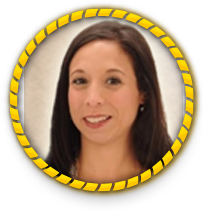 My name is Amy Herrera and I’m excited to be a part of the Magical Vacation Planner team! I first fell in love with Disney when I was in middle school and my passion for Disney has only grown since! I cant get enough! Every time I return I continue to be in awe of how magical it is. My favorite memories are at the character breakfasts, and the evening light show! I was lucky to marry someone who became just as much of a Disney fanatic as myself and we have made traveling to Disney a must! We have already instilled this love into our 4 year old daughter and cant wait to introduce our boy/girl twins very soon! While I am very much a lover of all things Disney, I also have passion for planning all types of vacations! I am a meticulous planner with a love for details! Every vacation should be one that is full of memories and stress free when it comes to planning. So whether it be a family trip, a couples cruise or an anniversary trip, I would love to help you plan your next vacation! Although Amy’s first Disney vacation was as an adult, from the first time she stepped foot onto Main Street USA she realized that the magic of Disney transforms any willing heart into that child they may have forgotten. As a wife, and mother of 3, she quickly found ways to make Disney affordable, and now that her children have grown up and left the nest the “Disney Trip” is still the greatest way to ensure everyone will come together as a family, even more than Christmas or Thanksgiving…nobody misses the Disney trip. Amy understands that Disney magic is just as abundant at the Value resorts as it is at the Moderate or Deluxe accommodations, having stayed at many resorts in each category. By experiencing as many restaurants and special events as possible; Mickey’s Not-So-Scary Halloween Party, Mickey’s Christmas Party, and Run Disney, Amy found that she could make the experience even more magical for everyone. 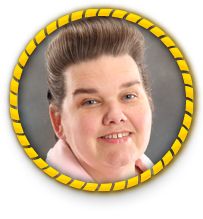 She loves planning trips and looks forward to helping you make your Disney wishes come true. Amy is inspired by all things Disney! She has been visiting Disney Parks since she was 3 years old-it was love at first sight! She is from a small town in Mississippi but discovered after college she enjoyed the city life and stayed in the Birmingham area. Now she is proudly known by everyone she meets as “The Disney Lady”. Since her first visit she has been trying all things Disney, hoping to eventually experience it all. 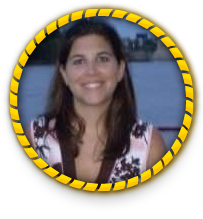 In addition to Disney World, Amy loves to sail with Disney Cruise Lines, and is working towards sailing on all ships. 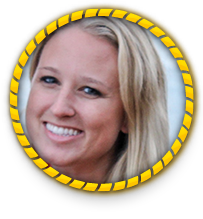 Amy is very detailed oriented and decicated to making your Magical Vacation the best one ever! Amy’s love of Disney began at age 6 when she visited the Magic Kingdom for the first time. She has visited at least 20 times since then and is a Disney Vacation Club member and Annual Passholder. 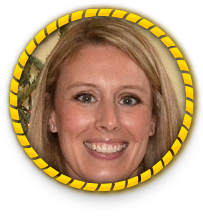 An avid runner, Amy has participated in RunDisney races at both Disney World and Disneyland. While she loves to travel during any season, her family especially loves Epcot’s Food and Wine Festival. Even as a vegetarian, she never has trouble finding delicious new foods to try! Amy shares her love of Disney with her husband and her 11-year-old son, Cameron. Cam took his first trip to Disneyland at age 2 and bravely rode the Matterhorn while hollering “Woah! Fast choo choo!” the entire time. He has been hooked on Disney ever since! 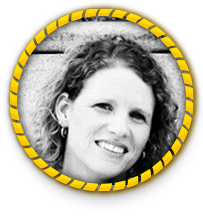 Besides her family, Amy shares her home in Michigan with two dogs, two cats and two turtles. 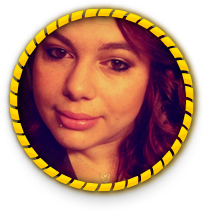 Amy loves discussing Disney and looks forward to helping you make your Disney dreams a reality! Amy, along with her husband Jeremy are self-described Disney Addicts. We have traveled to Walt Disney World together yearly since 1999. I have been unofficially helping friends and family plan their vacation for years. Joining Magical Vacation Planner makes it official. I’m excited to share my Disney knowledge with others! I live in Frankfort, Kentucky with my husband Jeremy, and 9 year old son, Carter. My area of focus is helping friends travel to Disney on a budget. We love traveling when there are special Disney offers, such as free dining or room discounts. I’m also an advocate for an all-inclusive vacation with room, park tickets and dining. Most of our best meals have been eaten in Walt Disney World and I love sharing our favorite restaurants with others. Although I am passionate about Walt Disney World, I have a special place in my heart for the Disney Cruise Line. Rest, relaxation, characters, amazing food and Castaway Cay are just a few of the reasons I love to sail on Disney Cruise Lines. 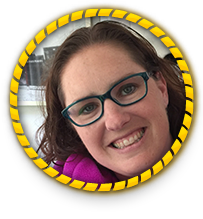 I am a professional educator that loves planning travel, especially for families. Having traveled to Disney and many other places before children, and after, I understand the concerns and special planning that go into traveling with children of all ages. I love helping families plan and prepare for trips and to help make them enjoyable for everyone. Whatever your travel needs, I will work with you to ensure you have the experience of a lifetime! I have traveled all over the world, to over 60 countries and gone on 34 cruises on lines including Royal Caribbean, Carnival, Norwegian, Princess, Holland America and of course, Disney Cruise Line. My favorite Disney cruise ship is the Disney Dream. We also hold season passes at Universal Studios Orlando and make several trips there yearly along with our frequent trips to Disney World. I especially enjoy land and sea Disney trips which allow you to enjoy the best of both worlds, a Disney Theme Park Vacation and a Disney Cruise. If you are considering a vacation, contact me so I can help your dream become a reality! Amy’s first trip to Walt Disney World was as a teen, but her true love blossomed on her first trip as a mother back in 2006 when her kids were just four and two. Since then, she’s visited Disney World 15 times and Disneyland twice! She’s imparted her love of Disney to her kids and then step kids (5 in all!) and has thoroughly enjoyed seeing them grow up in the parks. They are now teenagers and have experienced Disney in every phase of childhood and adolescence. 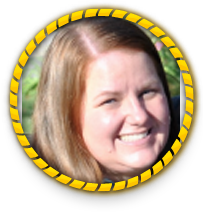 Amy joined Magical Vacation Planners in 2017 but has been planning trips for friends and family for years. 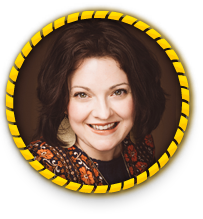 Her experience includes multigenerational, adult-only, and multi-family trips, but her true expertise is with large single-family trips. Disney can be a very different trip with 5 kids and 2 adults! Areas of Focus: Walt Disney World, Disneyland, trips for large families, adults-only trips, planning for small kids and teens, dining and resort recommendations, and dining with vegetarians. I am a mother of 3 children with a loving husband. I fell in love with the Magical world of Disney as a young child. Years and years later when I took my children to Disney and saw the look on their faces and twinkle in their eyes I knew at that moment they were hooked with the Magical World of Disney! Unlike other vacations, when planning a Disney vacation, people find they can spend hours upon hours planning from picking the hotel, to getting fast passes, to making dining choices, to learning how their magic bands work and so much more. I would love to help plan your next vacation to take away that stress at no extra cost to you. Let’s start planning your family’s next Magical Vacation with memories to last a lifetime! I discovered my love at Disney from an early age, going on a Disney Cruise with my best friend and enjoying all that it had to offer, plus park time and a stay after at WDW. After that trip, I made it a bucket list item to try to do all things Disney in my lifetime, and have been actively trying since then. During my trips, I always eat at a new place, whether it be a venue in one of the parks, or at Disney Springs. I also just recently got into runDisney, which only made me want to go back more and more, and try to run all the races. I would love to help anyone and everyone with their own personal trip to all things Disney, as planning is one of my all time favorite hobbies. “Travel is the only thing you buy that makes you richer.” I have experience planning for all types of travelers including children with autism and multi-generational families. Hi my name is Amy Yoder and I have been married to a wonderful husband for 23 years and we have 3 children and 1 grandchild. I love Disney!!! My first time at Disney was in 1993 it was my Senior Year of High School and our marching band got ask to be in the Disney Parade!!! Well we went and I was hooked!!! I have been going back ever since and our family loves it!!! I love to help people and I love helping people plan their vacations. So people would come to me and ask me to help plan the Disney vacation and I would, then I saw the opportunity to where I could help people plan their Disney vacation and other vacations so I signed up and did the interview and was able to come aboard. The reason why I love to help people plan a vacation is seeing the excitement as we plan it together and if their children know about it and they included them in the planning is seeing their faces light up as we go over things. I am hoping one day I can move to Florida and work at one of the Disney Parks, Hotels or Disney Springs. Also I love taking my Family to Disney and we always have a wonderful time and I love the atmosphere at the parks and hotels we have stayed at . Last year was the first time we took our grandson and it was awesome to see his face when he got to see Mickey and all the different charters!!! 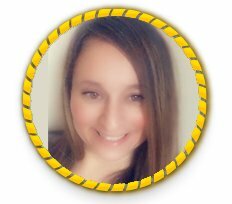 I am so happy to be apart of Magical Vacation Planner and I can not wait to see where this will take me in my new adventurer of helping people plan there vacations!!! My name is Andi. I am a wife and mother of two who discovered a passion for all things Disney related at an early age! In my spare time I love to spend time with my family, read, watch way too much television, sew, and most of all, I love to plan fantasy Disney vacations for my friends and family. I welcome the opportunity to help you plan your dream vacations! I love planning all types of Disney vacations, whether they be an all encompassing trip for your whole family, or a quick romantic getaway for your and your significant other, my goal is to make your vacation planning stress-free! Let’s start planning your magical get away today! 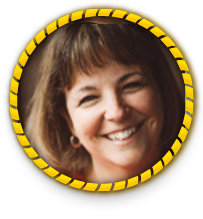 For over forty years, Andie has been fascinated with Walt Disney World. She and her husband, Ron, honeymooned at Disney in 1998, and the pair have creatively crafted ‘practically perfect’ experiences for their family ever since. From first visits to family reunions, from romantic getaways to milestone celebrations, Andie can customize any vacation to fit your unique family, making your special getaway perfect for you and your loved ones. Want to introduce a beloved Disney character to a special child? Interested in educational and cultural experiences to stretch your mind and heart? Want to gather with friends to nerd out over sci-fi standards? Or just want some relaxation and renewal with a bit of romance? Let Andie personalize your Disney experience today! Welcome to Magical Vacation Planner. 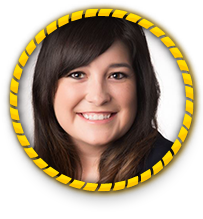 I am Andrea Altamirano, a Colorado native and I’m here to help you choose a magical vacation. If you love traveling as much as I do and you would like to take your family on a memorable awesome vacation. I am more than pleased to help in any questions you have. You are more than welcome to book yourself for the same price Disney would charge meaning choosing a Disney travel agent such as myself is at no cost. I can help you choose and book your hotel, flight, dining, resort, fast passes, smart bands and much more. The perks of booking through me is you get to sit back and relax while I do everything for you as I know how it is to have a busy life. My family and I have been to Disneyland, Disneyworld , Universal Studios, the many beautiful beaches. You will not regret the memories I promise you will have a fabulous time. Go ahead and take that vacation that you and your family deserve! Ask me how at this moment. Hello! 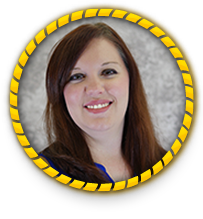 My name is Andrea Beverly and I would love to help you plan your magical vacation! I began my love for Disney at a young age when my mom took me to Walt Disney World for the first time. I knew instantly this was a place I loved being at and wanted to soak up every minute!! The memories, the atmosphere, the food, the sounds were everything I imagined and more! Since then I have traveled with my husband and two children to Walt Disney World and Disneyland over 30+ times and can not wait for the next magical adventure! My family loves to visit during the holidays when the parks really seem to come to life! We have stayed at many of the properties on site and I would love to help you find what property is right for you! We have also experienced all of the meal plans so I can also help with suggestions on that. I am a very detailed orientated person so whether you are seeking advice on tickets, hotels, daily activities, meals, or experiences I am here to help! We are also seasoned vets of Universal so any planning or questions you have for that theme park I am also ready to answer. As well as the parks my family has also cruised with Carnival and Royal Caribbean and counting the days until our Disney Cruise!!! So whatever it is you are looking for I am here to help create those memories! WDW & DL: reservations for hotel, dining, events, and daily excursions. Also super knowledgeable on FP+ suggestions. Traveling has been a passion for Andrea since she was little. She began taking long trips when she started Kindergarten with her first trip to Disney World. This tradition has continued with many trips throughout the years. Andrea is a wife, and mother of boy/ girl twins and they reside on their family farm. When they are not in the fields Andrea is traveling most often with her mother and children. As a teacher, she realizes the importance of making the the memories with your children whether it is just for a weekend or a 2 week long vacation. Each trip should be planned to meet the needs of your family and she can help you do just that! Hello! I am so excited to put my experience, knowledge, and skills to work for you! I would love to help you create the wonderful memories that I have! I am a mid-western girl, a wife, and soccer mom of 3. A graduate of IU, I am a former teacher and stay-at-home mom for the last 14 years. I had never been to Walt Disney World as a child. After hearing about the wonderful vacations a good friend had taken over the years, my husband and I decided to take our family…2 boys, 1 girl, plus my mother…about 10 years ago when my children were 2, 4, and 6. It was such a fun and magical (seriously, it was truly magical!) experience that we have returned to vacation there every year since! It was such a perfect place for all ages to enjoy and share together. As my children have gotten older, our park and vacation plans are different than they used to be. This has given me so much experience planning for many age levels. I must be doing a good job because my children always want to go back! I spend countless hours reading, researching, and planning to make our vacations as flawless as possible so that we can spend our time there simply enjoying our vacation! I know that not everyone enjoys or has the time to do that sort of planning. That’s why I am here!Let me put all of my efforts to work for you! What do you do when you have a passion for something and it makes you so happy?! You do it more of course!! That’s how I became a Personal Travel Advisor with MVP. I LOVE planning vacations, for my own family and for others. I do everything for you just the way I would for my own family, from start to finish with all the Magic and Pixie Dust in between! As a Mom to 5 Girls and 3 dogs, I understand there is so much to enjoy in life and not enough time to do it. So let me take the stress out of your vacation planning so you can sit back and enjoy the Magic! It’s hard to tell who has more fun at Disney: Andrea or her two adorable children. From the moment the doors close on the Monorail, right up to taking a spin on the tea cups, she is a kid again! Andrea has spent much time at Walt Disney World from her childhood, to her honeymoon, and now with her own children and husband. Every time Andrea visits Disney, she tears up a little because of all of the memories her and her family have created. 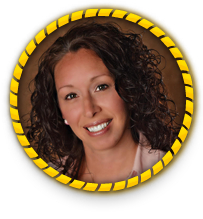 Andrea hopes to provide those same opportunities for you and your family. She is a natural born planner with a love of spreadsheets. 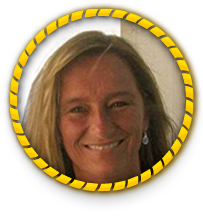 Andrea would love for her passion and enthusiasm to fuel your excitement for your vacation. Contact her today! I have always loved Disney, but it wasn’t until I witnessed the magic through my three children’s eyes that I knew Disney held a special place in my heart. As a family we travel to Walt Disney World several times a year. The memories we have made are priceless. It is the beauty of being together, laughing, and being a kid again! We have traveled on Disney Cruise Line as well. The cruises help me to relax, feel pampered, and create wonderful memories in new places with my family. Our family has participated in many Run Disney events. They are well organized and thrilling to be a part of. I taught elementary school for 17 years, and then was blessed with the opportunity of being a stay at home mom. Now I have the opportunity to share my passion with others … Disney and traveling! I look forward to helping you make magical memories. Hi I am Andrea! I would love to have the pleaseure to plan your vacation! I have been to both Disneyland and Walt Disney World traveling with my two daughters and my husband. I have had the opportunity to travel all over the world with my husband who just retired from the Army! I have lots of military planning tips and tricks as well as general travel tips! I look forward to speaking with you to discuss your trip and how great it will be! I am a lifetime Central Florida resident who LOVES Disney. I live within an hour of Walt Disney Wold and Port Canaveral. This fantastic location allows the Walt Disney World Resort in Orlando to be an integral part of our family celebrations, vacations, and weekend entertainment. Even with all the memories my family has made through the years, there is always something new and exciting that we can add to each Disney trip we make. Traveling is my passion. Living in close proximity to Port Canaveral also enables my family and I to experience both Disney and Royal Caribbean cruises. I have sailed extensively on Royal Caribbean. I also have traveled throughout Europe and can provide you with detailed information on these locations if you are looking to book a Disney Adventure or European cruise. Disney Adventures has some amazing and exiting destinations that I encourage you to check out and let me assist you in planning . “The world is book, and those who do not travel read only a page”. Let’s open that book to a new and exciting adventure! I would be honored and excited to help you plan your next vacation adventure. I look forward to hearing from you! Hello from West Georgia! Let’s get you on your way to your first or your next dream vacation, making incredible memories with your loved ones that last a lifetime! I first experienced the magic of Disney when I was 5 years old and have loved all things Disney since. And while my love for the Mouse is strong, my love of making memories with family and friends is what it’s all about for me. When it comes to a great vacation, planning is key; and for me, that’s (almost!) as exciting as the trip itself. That’s why I’m thrilled to help you make lasting memories with those you love! I have spent the last 20+ years meticulously planning annual family vacations for my husband and two sons. We have visited some fabulous destinations including Disney World, Disneyland and the Caribbean. I can advise you on the best accommodations to meet your needs and budget and take the guesswork out of your planning. Travelling with teens, toddlers or in-betweens? What about older guests or guests with disabilities? I have experienced it all – like that year I navigated the parks while six-months pregnant, or another year that I had a broken leg! I can even help with your itinerary, including dining and attractions, so you can make the most of your vacation stay. Whether it’s a family vacation, a romantic getaway, group travel or a trip with friends, I’ll use my experience and expertise to plan your perfect holiday. Areas of Focus: Walt Disney World in Orlando, Fla.; Disneyland in Anaheim, Calif; Disney Cruise Line; Disney’s Aulani in Hawaii; Disney’s FastPass; Universal Orlando; planning with toddlers, teens and in-betweens; planning with older guests and guests with disabilities; dining recommendations; park passes; Carnival, Princess, Royal Caribbean and Norwegian Cruise Lines; Sandals and Beaches Resorts. Hello! 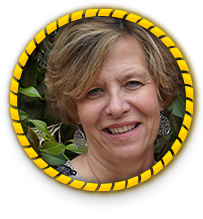 My name is Andrea and I live outside of Philadelphia with my husband and my three sons. I have been traveling to Walt Disney World since 1982. I went several times to Disney World in my youth, in my early 20s with my husband, and we now enjoy traveling there with our whole family. I am an avid traveler who manages to get to Florida about twice a year because we have many family members and friends living in Florida. I spend hours planning my family’s vacations because I enjoy it so much! Friends and family have now come to me for advice on planning when they are headed to Walt Disney World and Universal Studios Orlando. I want to help you and your family/friends plan your next vacation! I thrive on finding my family the best deals and experiences out there because I think it is important to make each and every moment of our vacation count. I promise to do the same for you and yours. I look forward to working with you and helping to make your Disney dreams come true!! My name is Andréa, and I love Disney. It sounds simple- but it is much more then that. I love Disney for its magic, in every aspect of the scene.. be it just a simple movie or a fully planned vacation in the parks. Some of my very fondest memories have been formed at Disney world with my father growing up, and has lead me to do the same with my own family. 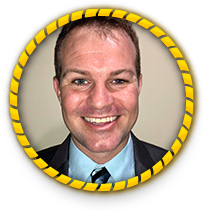 I’ve become an agent because I want to be able to have a helping hand in flawlessly creating the same wonderful memories and magic for you and your family. Together we can seamlessly plan every detail of your trip, from the very moment of arrival to dining plans in the evening, all the way down to the time of departure. Let’s make some magic happen! 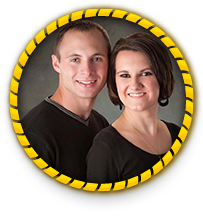 Andrew is happily married , who loves spending time with his Wife Courtney & two children, Isabella and Paxson. Growing up a sports fanatic in a family of 4 boys, there was always time for fun and games. He graduated from Huntington University with BS in Computer Science while playing 4 years of collegiate baseball. 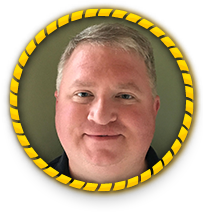 Andrew is currently employed at Huntington Sheet Metal as an IT Manager & Estimator. Andrew enjoys the process and excitement of planning Disney for his family and can’t wait to share the experience with you. Some of the best memories are visiting Disney resorts, the fireworks and shows, and the serenity that Disney brings to taking care of everything on vacation. He loves the diversity & detail that Disney has to offer on Vacations. The endless combination of vacation possibilities Disney has to offer is never ending. Courtney and Andrew have a challenge to themselves to visit every resort for at least one evening in their life together. He thoroughly enjoys experiencing Disney and sharing the magic with others. 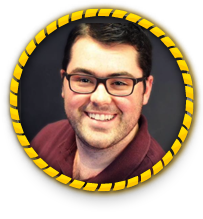 Andrew would love to help you plan your next Disney adventure. Hello!! My name is Andy and I have a problem……my family and I are Disney addicts! We go to Disney almost yearly for our family vacations. I listen to multiple podcasts weekly and my Facebook feed is filled with Disney groups. At this point I don’t believe there is a cure for this addiction! I am a father to 3 girls and 1 boy and I have been married for 16 years to my wonderful wife. My wife and I spent our honeymoon at the Animal Kingdom Lodge with a Savannah View. Since then we have visited Disney World almost yearly and have stayed at multiple resorts. My favorite Disney rides are Soarin’ and the now closed Studio Backlot Tour. My favorite restaurants are the Tuskar House and Boma. I look forward to helping you plan your next vacation and create memories with your family! Hello! My name is Angel Tanner. I love to travel, Disney is my favorite vacation spot. I am happily married with one son and one granddaughter. I look forward to helping you plan your next vacation. 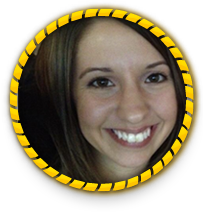 Angela joined Magical Vacation Planner in 2011 because of her love for everything Disney. She has traveled to Disney World, Disneyland and cruised with Disney for over 25 years. 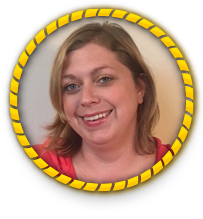 Angela enjoys planning Disney vacations for others in hopes they will enjoy it as much as she and her family have over the years. Angela has planned vacations for families, extended families and couples traveling to Walt Disney World and Disney Cruise line. She believes in planning the most magical vacation possible within a client’s budget. I live in Bedford with my husband and two children. I grew up loving all things Disney and had all the movies, all the dolls, and could sing all the songs (still can!). I visited Disneyland when I was 13 years old and can still remember being in awe. Several years later I was able to share my love of Disney with my husband and our children. My first trip to Walt Disney World was when my children were 4 and almost 2. I was once again in awe but there is something so magical about seeing Disney World through the eyes of your children. We were hooked! We made it a mission to get back to Disney World as often as possible. We love being in our “Disney bubble” where we are free to enjoy each other’s company at our favorite place in the whole world. I am a self-proclaimed Disnerd with a pretty impressive collection of Minnie ears! I have stayed at many of the resorts and have visited most of them. I love finding new merchandise sneaking bits of Disney into my everyday life, shoes, shirts, phone cases, wallets, etc. I have experience in planning and taking trips with toddlers, little kids, older kids, and pre-teens. My son had his first haircut at Disney and my daughter has had a makeover at the Bibbidi Bobbidi Boutique, both were amazing experiences. My husband and I have also taken an adults only trip. That is the best thing about Disney, it’s great for all ages! I am constantly researching and reading about all the new things coming to the parks. I love helping other families discover the magic and wonder of Disney. Any day that I can spend part of the day talking about Disney is a great day! I would love to help your family make new memories at the most magical place on earth. As child I would watch satellite TV to watch Disney shows and learn about the parks. The magic that I could feel just from watching created my Disney obsession. As I grew the love of Disney did as well. I began working at the Disney Store when I graduated high school. For 3 years it was an amazing place to learn the ins and outs of Disney as well as a ton of trivia. My husband and I went to Disney for the first time with our 2 year old son in 2002. After seeing his little face light up I decided that we would return as often as possible. By the time 2006 came around I had 2 daughters and our family of 5 went once again. We have been to Disney about 7 times. Trying to go at least every other year staying at different resorts each time. I absolutely love planning. I especially love to share little secrets to help families make the most out of their vacation. Disney is place to create amazing memories. My hope is to provide a service that will help you enjoy the time beginning to end. I love all things Disney! My kids who are all college aged now, have grown up on Disney. We took our first trip in September 1996. My boys were two and 5 at the time, my husband thought that this would be a one time trip, but he was so wrong! I began planning our next one on the way home. We returned in May 1997, I was 7 mos pregnant with my daughter. She went to Disney even before she was born. I love planning vacations, it doesn’t matter if its my own or someone else’s. It makes me so incredibly happy! I will treat your vacation with the same care that I would my own. Hello, my name is Angela. I am a wife and mother of two. My family loves to travel and my youngest is in a wheelchair so I can help with special arrangements if needed. I have experience with planning and arranging trips for just 2 or larger groups. I love helping people make their dream vacations come true. Because of my LOVE for Disney my family has visited Walt Disney World many times and stayed a several of the on property resorts. This will help me when finding the right resort for you and you family or group. Hello, my name is Angela. I am a huge Disney fanatic and I love to travel. I have been visiting Disney world since 1987. Since the very first time I walked into the Disney parks, I have been mesmerized by the magic of Disney. I share the love of Disney with my husband and our 18, 15, and 12 year old children, who have experienced Disney’s magic their entire lives. Our entire family collects and trades Disney trading pins. We also attend pin trading events, which add a little more pixie dust to the trip. I keep up to date on current news about everything Disney, including future developments. We have also stayed at a variety of Disney resorts, and know all of the tips and tricks to help you get the most of your Disney Vacation. I can book Disney world, Disney Cruise line, Universal Studios, and more. My goal is to make your vacation planning stress free and enjoyable. Disney and traveling are my life, so helping other people book amazing vacations is my dream job. I can’t wait to help your family build magical memories for years to come! Hello there! 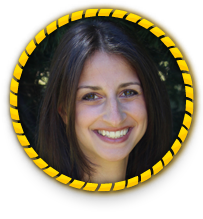 My name is Angela Massad and I am so excited to help you plan your next vacation! As a seasoned Disney traveler, and lover of all things Disney, I will be able to help you navigate through the sometimes overwhelming process of planning your vacation, and help to make it the most magical experience possible! My specialty is assisting military families in their planning and making the most of their time with the options available to them as I know how precious their time together is. Contact me today to get your magical vacation plans started! I clearly remember my first trip to Disney World in 1980 as a little girl. My family drove from Virginia to Orlando and I would not sleep a wink. It was excited and I knew that it would be an great trip. Fast forward 34 years…My mom wanted to go to Disney for Christmas. She wanted to bring my family and my sister’s family for nine days! We had been to Disney resorts for professional conferences over the years as well as traveled extensively through the US and internationally, but we had not been back to Magic Kingdom. We spent Christmas Day at Magic Kingdom, ate dinner at the Diamond Horseshoe,and I could not believe that my 5 year old son made it through 13 hours without riding in the stroller. It was truly a magical vacation and we had a blast. When we left the park that night, my son said he wanted to come to Disney four times a year. I said, “Nobody does that. It took me 34 years to come back”. Little did he know I was trying to figure out when we could return because I was hooked! Well, we have been to Disney 8 more times in 2 ½ years! Dreams do come true! After the 8th trip, I was excited to discover an opportunity to become a Magical Disney Vacation Planner. I am excited to have this opportunity to help people make their magical dreams come true. I love travelling and have been to 37 states and 13 countries, including 4 trips to Australia. I am very detailed oriented and a planner by nature. Let me share my experiences and knowledge of Disney to help you plan your next magical dream vacation! 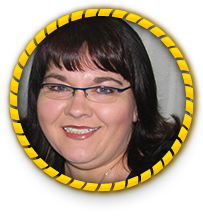 Angela can’t wait to assist you in planning your magical vacation. She knows it will be one you and you family will never forget! 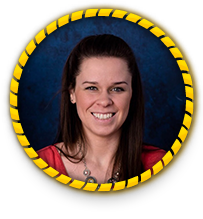 Angela love all things Disney an d also enjoys seeing smiles on the faces of the families she helps plan vacations of a lifetime. 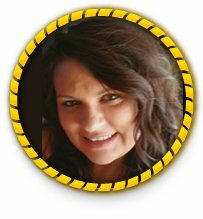 She loves planning vacations that have unique once in a lifetime experiences that will wow the entire family! An avid traveler herself sh.e has been to not just Disney World but several incredible famous resorts as well as some overseas. 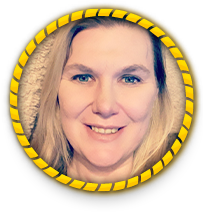 She knows how to have fun and wants to help others have similar experiences customized to their own interests and needs. 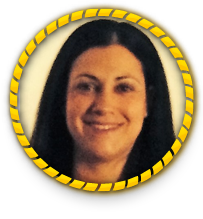 Angela cant wait to help your family plan their trip of a lifetime! As your Magic Vacation Planner she will try her best to make all your Disney and other travel dreams come true! Remember A Dream Is A Wish Your Heart Makes!!! I am so thrilled to be part of planning a magical vacation for you and your loved ones! Ever since I can remember I have LOVED to travel! From exhilarating roller-coasters at Universal Studios in Florida to excursions to iconic European castles, I am a dire-hard enthusiast for exploring the world. But what brings me the greatest joy is arduously planning and living out the magic with my family at Walt Disney World…and creating precious memories. As a young child, I distinctly remember feeling like I was actually flying into space in “Flight to the Moon” or picking up a “hitch-hiking ghost” in our doom buggy at the Haunted Mansion. In high school I was privileged to parade down Main Street with our marching band. On a trip without kids, my husband and I stayed at the Swan resort, walking hand-in-hand on the Boardwalk in the warm evenings and sampling the ice cream there. I’ll never forget the “royal treatment” my kids received meeting the princesses in Epcot or from cast members when my daughter stepped out of Bibbidi Bobbidi Boutique. Sharing these precious moments with grandparents made it even more magical. Every trip we have taken has been a unique experience because we love to explore all the resort and park options. Disney is wonderful at providing accommodations for a wide variety of needs, including dietary or those with cognitive-sensory disorders like my kids. Vacationing at WDW makes our family bonds stronger every time we go! If you are ready to experience making life-long memories like these at the “most magical place on earth”, reach out to me! 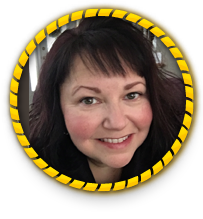 With a background in social work and teaching, I have a passion and sensitivity to assess clients’ needs, interests and resources…think of me as your personal concierge from the time you begin exploring options until you come home from your vacation! I would also love to assist with packages to Universal Studios as well as cruises, including memorable trips on Europe’s famous waterways and places that inspired Disney himself. I can’t to wait create a magical vacation just right for YOU! SPECIALTY AREAS: Special Needs accommodations (autism/dietary/medical); Walt Disney World & Disneyland (resort, dining and attraction planning); Disney cruises; Universal Studios Florida; Viking cruises. Angie has been a devoted Disney fan since she was a little girl. In high school, she won the annual Walt Disney “Dreamer and Doer” award for her class. She has been traveling to Walt Disney World for many years and loves it more and more each time she visits. 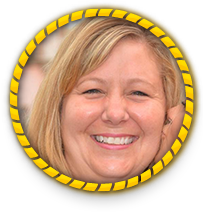 She has participated in numerous runDisney half-marathons at both WDW and Disneyland. 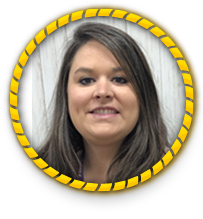 She is a lifelong resident of Alabama, a mom of two teenage boys and an elementary school teacher by day. 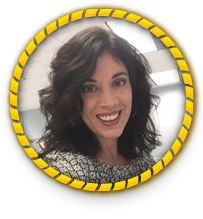 Angie is very proud and excited to be a part of the Magical Vacation Planner team. She is eager to create magic for others! Hello to All You Disney Fans! My name is Angie. I am a happy full-time mom and Events Coordinator….and now Magical Vacation Planner! I will never forget my first trip to Walt Disney World. There I was on Main Street in my mid-thirties staring at Cinderella’s Castle…crying with the overwhelming feeling of happiness. From that moment on we have made the pilgrimage from West Virginia to Sunny Orlando. There is something about seeing your child’s face during the fireworks at Magic Kingdom! It is truly amazing, and I wish to offer that same feeling to others. I am looking forward to helping clients make their own magical memories. If you dream it I can show you how to make it a reality. Every family who want to visit a Disney Destination CAN…it just takes the know-how and a little bit of pixie dust! I have always loved to travel and I believe that the vacation planning process should be as fun and exciting as the vacation itself. I have gathered wealth of personal and professional travel expertise, particularly when it comes to Walt Disney World. 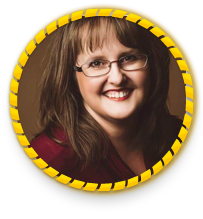 I can help you with money saving tips, time saving tricks, and insider secrets. Whether you are brand new to Disney vacations or a experienced Disney traveler, I am happy to help you plan the vacation of your dreams. I will be your personal concierge each step of the way, ensuring that all of your needs have been met. My planning expertise will make the difference between an ordinary trip and a magical vacation. My passion is to learn about my clients and customize the perfect vacation experience. Life is all about experiences and creating memories with those you love! After all, its so much more than a vacation! I am excited to assist you with a trip of a lifetime! Hello!!! 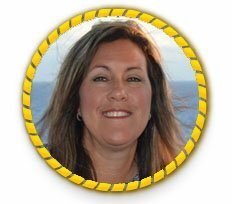 My name is Anita and I am SO excited to help you plan your dream vacation!! I am a single mother to a beautiful 17 year old daughter. My daughter and I share our LOVE for Disney. We are always talking about Disney, planning Disney vacations, watching Disney movies or listening to Disney music. We truly LOVE all things Disney!!! I enjoy sharing my passion and knowledge for Disney with others. Being part of the Magical Vacation Planner team is a dream come true for me! The next best thing to being on a Disney vacation, is planning one! Let me help you plan a magical and memorable vacation! I am Ann Brown. I am married to an amazing Jamaican man as we have been blessed with three beautiful children. I love to travel to new places with my family. My favorite place to visit is Walt Disney World. I fell I love with it when I was 16. My high school band marched in a parade there and I couldn’t wait to go back. I didn’t get back until I was 39 and I was able to turn 40 in Disney! We have now visited Walt Disney World several times and been able to visit Disneyland as well. We also enjoy cruising. While I have visited several countries, there is no trip I enjoy and look forward to more than a Disney vacation! I have a passion for traveling. If I am not traveling myself, I love planning trips and adventures for others! 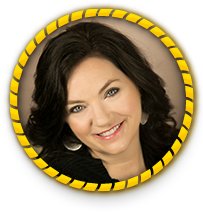 I am excited to use my love of travel to help you plan your magical journey! Hi! My name is Anna Butler. I am a military wife and mother to two toddlers and another on the way. My Grandfather took me to Disney world more times than I could count when I was a child and I fell completely in love with the Magic of the Disney experience. While in college I moved to Orlando to do an internship at Disney World and I enjoyed learning the ‘behind the scenes’ part of the business. My husband and I honeymooned at Disney world and enjoyed the relaxing side to the resort. We since have taken our two toddlers and enjoyed the craziness that comes with that! My favorite memory by far was seeing my son watch the parades at the Magic Kingdom. I started vacationing at Disney as a child however it wasn’t until my first trip with my daughter and husband in 2009 that I truly fell in LOVE with all things Disney. I have been lucky enough to go to Disney yearly since then and experience Epcot Flower and Garden Festival, Epcot International Food and Wine Festival, Mickey’s Not-So-Scary Halloween Party at Magic Kingdom and Mickey’s Very Merry Christmas Party at Magic Kingdom. The holidays are my favorite time at Disney because in my opinion everything is better at Disney. I look forward to helping you plan a magical and memory filled vacation. Areas of Focus: Disney World, Adults Only, Trips with infants and children, Disney Honeymoons, Club Level experiences, Dining Recommendations, Extended Family Trips, Holidays at Disney. I live near Pittsburgh, Pennsylvania with my husband and 2 daughters and have been to Disney many, many times! I loved going to the Disney parks as a child but love it even more now as I see the excitement and smiles on my kid’s faces as they walk through the parks. As soon as you walk through the gates, you can feel the Disney magic! I think everyone should experience that feeling and I would love to be the one who helps you plan that magical vacation. I have planned my family’s Disney vacations for many years and can help you book your vacation too. Whether it is a weekend getaway or a long stay, I look forward to helping you make memories to last a lifetime. I am a married mother of three young kids and a certifiable Disney fanatic! If it were socially acceptable to wear my Mickey Ears when not on vacation, I would wear them everywhere. I have traveled to both Disneyland and Disney World several times and spent many hours aboard the Disney Fantasy and Disney Wonder cruise ships. My favorite memory of Disneyland is watching my then 3-year-old son watch in awe as his favorite characters went by, all lit up, in the Paint the Night Parade. I have an addiction to the joy, amazement, and feeling of wonder you get from taking a Disney vacation. I would love to help you plan the trip of a lifetime so you can experience it for yourself. Navigating the parks, or even just the airport, with little ones can seem daunting. I have traveled with infants, babies, toddlers, and older kids so have tons of tips and tricks to make things as smooth as possible. And while Disney is my passion, I also have experience with all-inclusive resorts, city travel, and other theme parks. I have been a frequent traveler all my life and would love to put my expertise to work for you. Let me take on all the stress of the planning so you can go straight to the magic! 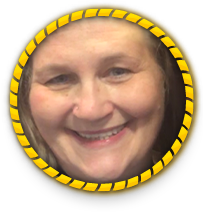 Annemarie is the daughter of a retired travel agent and has not only lived in another country, she has traveled the world (including all over Europe, China, Mexico, Jamaica, The Dominican Republic, The US Virgin Islands and The Bahamas) and The Walt Disney World Resort extensively. As a mom to three energetic and curious boys, she has introduced her sons to the Magic at the Walt Disney World Resort, sailed on the Disney Cruise Line, and relaxed at Disney’s Aulani Resort and Spa in Hawaii. When Annemarie isn’t busy planning her next magical getaway with her family, she enjoys being swept away in a good book! 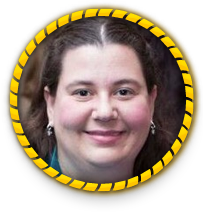 Annette Tagliaterra resides Northeast PA with her husband and teenage son. She has 2 grown children as well. Annette had been a Disney fan for as long as she can remember and attributes it to growing up in the Airline Industry. As a child Disney World was the vacation of choice every year and that continued thru high school. As an adult Annette carried that love of Disney with her and carried on the tradition with her own children and now her grandson. Annette has been to Walt Disney World more times than can be counted. Experiences include adult only trips, trips with small children, trips with grown children and family trips. Trips included stays at Value to Deluxe resorts. Annette also has visited Disneyland in California and each site provides a unique experience. 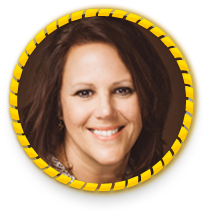 Annette’s love of Disney drives her passion for providing clients with the best experience possible on their dream vacations. Did you know you can get a haircut at the Harmony Barber Shop on Main Street in Magic Kingdom? I know because for the past 5 years, these amazing Barbers are the only ones who have cut my hair. My husband and I went to Disney World for our very first vacation together back in 2011. Since then we have gone 2-4 times every year. We even became Annual Passholders because we love it so much. The magic of Disney World is amazing; we feel it as soon as we step onto the Magical Express. The outside world disappears and we enter a world filled with happy people who just want to enjoy life and have fun. I love learning about Disney. Every decoration, presentation, building, has a story and there are so many little treasures to find like hidden Mickeys and where you can listen in on a party phone line conversation. Whether you go for 3, 7 or maybe even 10 days to spend time with family, celebrating a special occasion or just need to get away, I would love to help you plan your trip and share the excitement of Disney! Hi there! My name is AnnMarie and I love all things Disney! My very first trip was in 1992 and I have been blessed to go back many times since then! I have a wonderful husband who embraces my love for Disney and I am a mom to three beautiful boys who also share my love for Disney! We live in Jacksonville so we are regular visitors to Walt Disney World and Universal Stuidos! I have traveled to Disney and Universal with infants, toddlers, and teenagers in tow! I have planned many trips for friends and family members over the years! I am the go-to person in my family for all things Disney and Universal related! I am SO excited to be a part of the MVP family! I look forward to helping families create their magical vacation! Anthony’s love for Disney started later in life. When he and his wife took their two young girls to Disney in late 1990’s, he was hooked. There is just something about being in that magical place that brings our the little child in all of us. My favorite park at Disney world is Epcot. From the World showcase to the educational rides, it never gets old. Now that my girls are grown, I still want to go back to experience the magic as often as I can. When Anthony is not planning magical vacations, he teaches information technology to college students. He always talks about the fun and adventure of Disney and hopes that he can help his students build a dream for their lives just like Disney does for all their guests. 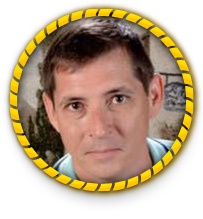 Feel free to contact Anthony today, so he can assist you in booking your next magical vacation! Areas of focus: All things cruises: Carnival Cruise Lines, Royal Caribbean, Disney Cruises, MSC, Norwegian, Viking Cruises, Holland America, Princess Cruises, Celebriy X Cruises, Ama Waterway, and Azamara Club Cruises, as well as, Universal Orlando Resort. April started visiting Disney as a young child and fell in love with it. It’s now a love she shares with her husband and three kids. Her whole family enjoys everything Disney. They have stayed in all levels of hotels so she can help you pick just the right one for your family. Currently just living 4 hours from Disney Land they love to go as often as they can. They also enjoy trips to Disney World with their extended family and relaxing on Disney cruises along with many other non Disney locations. April’s husband is retired Army so she has been all over the world and lived in several different countries. Therefore she is able to help you with any destination your heart desires. 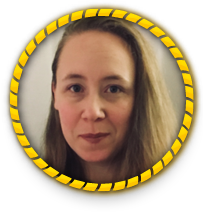 She also has personal experience with traveling with disabilities and food allergies so can help take the stress away and book the perfect trip for you. April hopes to help your vacation go magically and to make sure the only worry you have is where you are headed on your next vacation. Hi! I am April Carpenter. I live in Hartford, Alabama with my wonderful husband and 3 amazing children. We love traveling and making memories through our adventures. When we are not vacationing at Disney, we love visiting the Smoky Mountains, Florida beaches, and the big city destinations like Atlanta, Biloxi and Nashville. I took many trips to Disney as a little girl, but nothing was more magical than seeing Disney through the eyes of my children. After that first trip with my little ones, I kept researching and planning for the many trips that followed. I love planning the little details that make a trip extra special. Even now after many trips, we still find new things to do at Disney! It has now become a passion of mine to create vacations for others. As a school teacher, I have always been detail oriented. Let me use my love for details to create itineraries, make reservations, and find good deals to help you have a stress free and magical vacation that your family will remember forever! Planning a great family vacation does not have to be stressful! Contact me to let me know how I can help you have a magical vacation. Remember, Disney is always a good idea! April grew up in Southern California and has many childhood memories of visits to Disneyland. She now lives in Tampa, Florida with her husband and 7-year-old daughter. They are all Disney annual passholders and Platinum Castaway Club members. She visits Walt Disney World about once a month and has been on 11 Disney Cruise Line cruises. 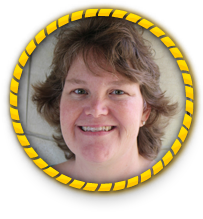 She is ready to use her local expertise to help you plan your dream Disney vacation! April has been a lover of all things Disney for as long as she can remember. She fell in love with the parks when she took her first trip at age 12. Her favorite things to do at Disney are ride all of the rides, eat Mickey ice cream bars, and enjoy the magic of Disney. She enjoys going to Disney as often as possible with her husband and daughter who share her love of Disney. In her job as a medical biller, her coworkers know her as the go-to person for help with planning Disney or any Disney questions. 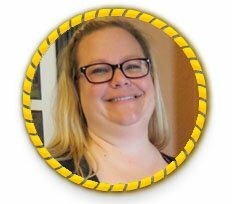 She has joined Magical Vacation Planners so that she can share her love of Disney and help others make magical memories of their own. Areas of Focus: Walt Disney World, Disney Cruise Line, Aulani Resort, Universal Studios Orlando, Sandals/Beaches, Carnival Cruiseline, Royal Caribbean Cruiseline, Family Trips, Adults Only trips, First Time Guests, Dining Recommendations, Planning with Teens, and Disney Special Events. Hi! I have had a love for travel for as long as I can remember, I’m always planning the next trip. I first visited Disney when I was 5 and have been back several times, and have also been cruising with them as well. I started planning Disney vacations for my family in 2007. I have planned many trips for my family and friends, Disney and elsewhere. I believe when you spend your hard earned money on a Disney Vacation or any vacation you need to plan so you can make the most of your precious time with your family. Let me help you make the most of your Disney Vacation. Arielle has been a lover of all things Disney for as long as she can remember. Her very first trip to Walt Disney World was at the age of 4 and she still remembers that first hug from Mickey Mouse and the awe of Cinderella’s Castle. She has been lucky enough to return many times since and to spread the love of Disney to her family. After her most recent trip to Walt Disney World, she realized she could share her tips, tricks and ideas to help other families have the same fantastic memories and amazing experiences that she has had. 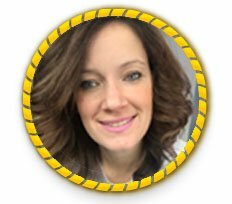 As a mom and a pediatrician, Arielle can offer unique insight into travelling with kids of all ages and work with you to determine the best hotel, dining, attractions and entertainment for your family! 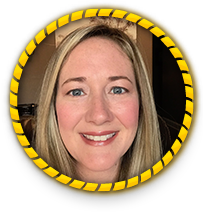 Additionally, she has years of experience working with children with medical issues and special needs and can help organize any specific accommodations or requests. 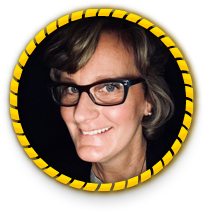 She has planned numerous travel vacations for family and friends and cannot wait to help you and your family plan a magical trip! Hello my name is Arlin I am currently living in Florida since 2014. 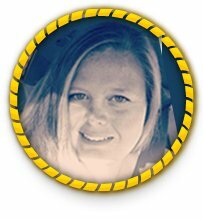 I am a nurse, wife and mother of 2 girls and 1 boy. I am available to help the community to have a magical moment. Helping to plan your vacation. Currently I often go to Disney to enjoy with the family. I am available to clarify your doubts and have an absolutely magical experience with your family. Let me do the work for you and your family. Arnetta says, from the moment you walk through the gates at Magic Kingdom , the excitement fills your heart. She has been with Magical Vacation Planner since 2012. Arnetta and her husband Mike have two sons in college and have enjoyed each magical moment watching their children grow up at Disney World. 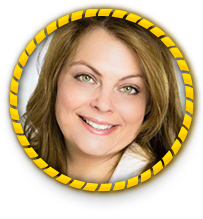 Arnetta has experienced the Magic through the eyes of her children and now loves to give her clients the same experience. 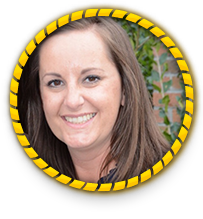 She wants clients to see and experience all of the Disney magic and help make memories that they will cherish for a lifetime. 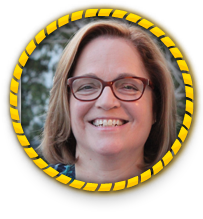 Arnetta likes to share her experience of Disney World, Disneyland, Disney Cruise Line and Royal Caribbean with clients so they can forget about everything else in the world for just a few days and focus on their family. Areas of focus: Walt Disney World Packages, Dining Reservations, Disneyland, Disney Cruise Line, Adventures by Disney, Aulani and Royal Caribbean. My name is Ashlea Ortega. I am a mother, wife, and have always been a Disney fanatic. There is only one other thing in this world that I love as much as Disney, and that is to travel. Whether it’s an all-inclusive destination, a cruise, or a magical trip to Disney World, I am constantly on the go or planning the next big trip! I became a Magical Vacation Planner to help others to discover the magic of Disney vacations. I am an extremely detail oriented vacation itinerary planner and would love to help you book the perfect dream vacation where the only work that will have to do is pack and arrive at your destination! Hello! 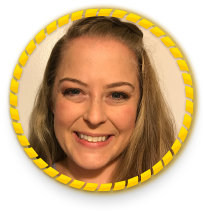 My name is Ashleigh Pool and I live right outside of Nashville, TN, where I have a full time job as a Registered Dental Hygienist. I find this quote to be very true on any normal day, but especially while I’m at Disney with my family! I have been happily married to my husband, Michael since 2009 and we now have three perfect and beautiful children. Ever since I was a little girl I have loved all things Disney. My obsession began with Winnie The Pooh…he was on everything I owned. Now as a mother of one girl & two boys, I get to enjoy all things Disney…from the Princesses to Star Wars, and everything in between, I get to live and enjoy it ALL!!! Our family has started taking annual trips to Disney since having children, and that is what initially sparked my interest in this career path. I am extremely excited to help clients plan their dream vacation to the most magical place on Earth and promise to help make it the most memorable and magical vacation ever!!! We are Disney fanatics and absolutely love to travel! We find joy in planning trips to Disney for our family and seeing our daughter’s face light up every time she sees her favorite princess or watches the fireworks from Main Street in Magic Kingdom. There is truly nothing like seeing your child’s face light up from seeing the magic of Disney come to life. Our hope is to bring this same joy to your family as we help you plan your magical vacation. Our favorite part of any Disney vacation are the dining experiences, whether it be character dining, special occasions or just amazing food, we’ve got your back on making those perfect dining reservations for your vacation. We have been to Disney 14+ times and have experienced many of Disney’s annual events such as, Epcot’s Flower & Garden Festival, Epcot’s Food & Wine Festival, and special ticketed events, Mickey’s Very Merry Christmas Party and Disney After Hours. We have also taken the Behind the Seeds tour at Epcot. Chris has participated in the many recreational activities that Disney offers, such as their Guided Fishing Excursions. From the parks to everything in between, we can help make your vacation unforgettable. There are so many ways to add even more pixie dust to your magical vacation that we can’t wait to share with you. Any wish your heart desires, we’ll help make it come to you! Ashley has loved travel as long as she can remember. She has been all over the United States, the Caribbean and to Europe several times as well. Her love for Disney was ignited when she was a young child during visits with her family and has kept the tradition alive since having a family of her own. She has visited Disney with her husband, son and parents multiples times each year, has been fortunate enough to stay in almost every resort and loves them all. She has enjoyed the cuisine and atmosphere at tons of Disney restaurants along with all of the seasonal events and experiences. She particularly loves Mickeys Not So Scary Halloween Party and Mickey’s Very Merry Christmas Party! 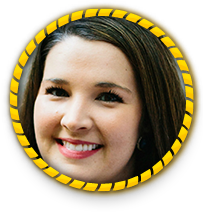 Ashley currently lives in Mount Juliet, TN, a suburb of Nashville with her husband, Jason, and son, Hudson. They love traveling, the outdoors, football and hockey. Ashley has become to Disney expert among family and friends helping them all plan fun filled dream Disney vacations. As an annual passholder she is has been able to visit during many different times of the year and experience all types of events, weather, seasons and adventures. She would love the opportunity to help plan a memorable, magical and unforgettable vacation to fit any timeline or budget. 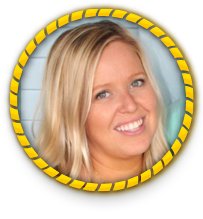 Ashley is a toddler mom and football wife who loves all things Disney! She’s been traveling to the World since she was little and now travels with her young son and husband as often and he will let her. 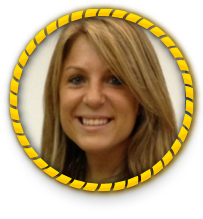 She also is an avid runner and believes that there’s no better place to run than in the magical air of Disney. 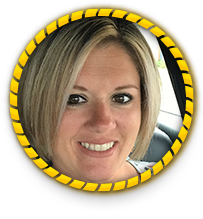 She can’t wait to help you and your family experience all the fun and pixie dust that she is so passionate about! Are you trying to plan the most MAGICAL Disney vacation ever, but need to find a Disney fanatic to help you plan it? I have experience in putting the magic in magical! I absolutely love everything Disney and have a passion for helping others create those everlasting memories. Disney World is my happy place and I want to make it yours too. I not only love helping families plan their magical vacation, but I love helping bachelorette parties send their Cinderella off to her Prince Charming. I was lucky enough to get engaged at Disney and LOVE planning proposals for other princesses too! 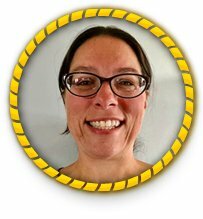 I also work as an occupational therapist and have experience in making sure any disabilities won’t limit the experience and joy that Disney has to offer. Ashley fell in love with Disney as a young child watching countless Disney movies. She always dreamed of being a Princess at Disney World. Finally getting the chance to meet these princesses, she was in the happiest place on Earth. Exploring Disney with family and friends through the years has brought a different and magical adventure each time. From visiting with her cousins for the first time, exploring Disney at its best with her husband, or taking a girls trip with friends, Disney never disappoints! Like Walt Disney said, “Growing old is mandatory, but growing up is optional.” Disney World gives us the ability to live by this. 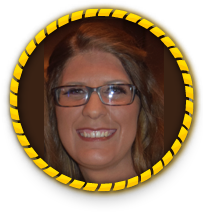 Ashley is excited to offer her excitement and passion for Disney to help you plan the most magical vacation. Helping you book that special event, fast passes for shows and attractions, or the perfect dinner location is just as fun and the trip itself. Whether that is on land or sea, or even both, Ashley has experienced both and is eager to share those with you. The greatest joy in life is making memories with family and friends, so why not those memories magical! So get those Mickey ears ready, and let’s start planning your next big adventure! My family and I travel to Disney World at least once a year! There is nothing more exciting than walking off the Disney transportation for the first time and laying your eyes on Cinderella’s Castle. Or walking down Main Street USA and taking in all the magical energy and nostalgia. I have a passion for detail and planning which makes this the perfect job for me. I’m currently attending a local college for Hospitality and Tourism. My knowledge from this program and my extensive travel experience help me plan magical vacations all year long. I stay as current on all things Disney World the best that I can, from following any and all blogs to talking with others who have recently traveled. My friends and family all consider me their “go-to” Disney person! I hope I can be yours too. My areas of focus are, Disney World, Family Travel, Dinning, resort and fast pass recommendations. I am YOUR travel agent! Here to assist you in making your vacation dreams become your reality! I have extensive knowledge of Disney World, and I LOVE happy clients! Call today and we’ll begin planning your magical stay at the “happiest place on earth”! Hello! 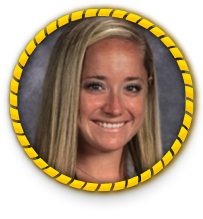 My name is Ashley and I am a physical education and health teacher at a large public school in Ohio. 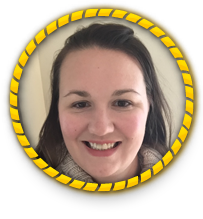 I have 7 years of teaching experience, during which time I was responsible for planning and implementing various school trips spanning across each school year. I have planned week long service oriented trips across the country for student groups as well as my church. I am a skilled planner and my detail oriented approach to planning has lead me to plan numerous successful Disney Vacations for my own family as well as my friends. I have many Disney Vacations under my belt and have done research to make each trip special, unique, memorable and most importantly magical! I have stayed at various Disney resort hotels, attended tours, dining events and dessert parties. I have extensive knowledge of the parks and would love to share that with you to create the ultimate touring plan and vacation for your family’s needs! Ashley began traveling to Walt Disney World with her family starting in 1992. Both her and her sister still talk about the great childhood memories we created there! Ashley and her husband continue the Disney tradition with their own family. Ashley has four girls, ranging in age from 1 to 10. Her oldest daughter is quite the Disney expert herself, teaching her younger siblings all about the magic of Walt Disney World. 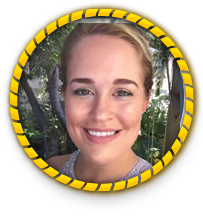 Ashley loves helping those who feel a vacation is out of reach find an affordable way to experience the magic of a family vacation. 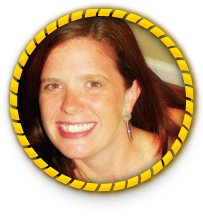 She is dedicated to helping those with all budgets make their vacation dreams come true! 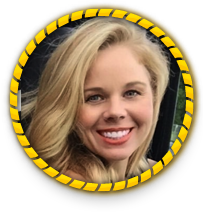 Ashley has planned honeymoons, family vacations, vacations including children with special needs and many more! Ashley and her family have been traveling to Walt Disney World for many years. For her it was easy to fall in love with all things Disney. There is always something new and exciting to experience! 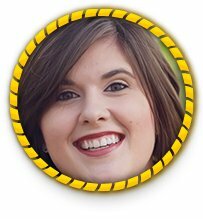 Ashley is a passionate Disney traveler and enthusiast who has years of Disney travel experience, tips, and advice. Although her favorite place to visit is Disney World, she also enjoys traveling on cruises, to beaches and any place warm. Ashley would love to help you plan your next amazing vacation! I officially became obsessed with Disney during my first trip to Walt Disney World with my beloved grandparents at the age of nine. I have visited WDW many, many times over the years, and my most favorite Disney memories are those that I have made with my beautiful daughter. Meeting Eeyore for the first time, seeing Festival of The Lion King, and riding Seven Dwarfs Mine Train under the fireworks are just a few highlights that I will treasure forever! I work as a high school science teacher, but my true passion is Disney! I look forward to helping you plan your next magical vacation! Ashley has been traveling to Walt Disney World since 2000, visiting as often as she can with her two young children and husband who all love Disney as much as she does. 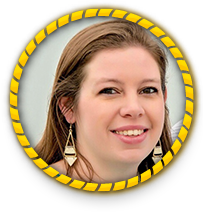 Ashley doesn’t just love to visit the parks, but is passionate about learning all she can about Disney World, its history, and all the tips and tricks to having the best and most magical experience. 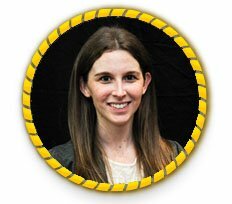 Ashley has been sharing her knowledge with friends and family for years, helping them plan their own Disney World vacations. 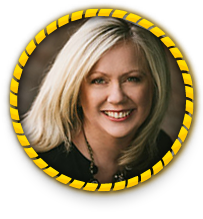 She can make recommendations for anything from resorts, to dining, to attractions and extras to customize the trip to the traveler’s budget and taste. 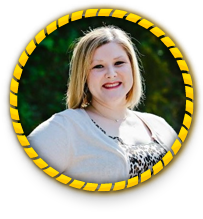 Ashley is an avid traveler and especially loves to visit, research, and plan vacations to Disney Parks. 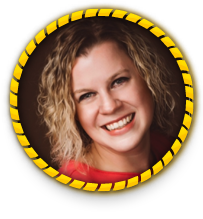 She informally helped friends and family plan their Disney vacations for years before joining the MVP team and has found the ability to branch out to plan other destinations and types of trips, especially cruises, to be very rewarding. When it comes to Disney, Ashley believes that it is truly for all ages and stages of life–singles, families with no kids, young kids, adult “kids”…picky eaters, adventurous eaters, those with dietary restrictions or mobility concerns–Disney vacations have something for everyone and Ashley has so much fun helping people plan a trip to fit the needs of any person or family! Areas of Focus: Walt Disney World, Disneyland, Disney Cruise Line, Adventures by Disney, Aulani Disney Resort and Spa, Royal Caribbean, Carnival Cruise Line, and Norwegian Cruise Line. I’m Ashley and I live in Addison, TX with my boyfriend and dog. I’ve been going to Disney almost every year since I was 5 years old and I still can’t get enough of it! I have so much fun learning about all things Disney and even more fun planning trips so others can have as magical of a time as I always do! I love sharing all the wonderful experiences I’ve had at Disney in order to make sure every family has the best vacation at the happiest place on earth! I’m Ashley and I’m from Texas. I live just a few minutes south of Six Flags, the Texas Rangers and the Dallas Cowboys! I’ve been visiting Disney World and Disneyland since 2001. When my kids were 2 and 5 I took them on their first trip and the rest is history! We visit at least two to three times a year now. They are now 8 and 11! We are a traveling family. Last year we visited England, Scotland and France. We also visited Disney Paris! It’s amazing! Next summer our goals are Ireland and Italy. I’ve done Disney After Hours, Halloween parties and Christmas parties. Next up-a Disney Land and Sea trip. I’d like to call myself a seasoned Disney guest and have stayed at many of the resorts. Every family is different and has specific needs and wants for their trip. I would love to help you and your party prepare a fun filled vacation! I am a teacher and a mom that loves Disney! I can still remember my very first Disney movie. I remember dancing and singing along with Sleeping Beauty when I was just 6 years old. Aurora is still my favorite Disney princess 30 years later! I had my first Disney trip while I was in college. When I returned to Disney with my husband and children I experienced a different kind of magic. There were no distractions, just us a family making memories. Having this experience as a family has helped me to realize that I want to help others to make these magical memories that will last a lifetime! I am a Army wife, and a mom to a little girl and boy. My love and obsession for all things Disney started at a very young age and continues to grow everyday. Taking trips to Disney are my go to vacations, and by far where some of my favorite family memories are made. My kid’s first trip to Disney was at ages of 1 and 2, You are never to young or old for Disney. Passing on my Disney experiences and Sharing the magic of Disney makes me so excited. I get excited just thinking about planning a trip to Disney. Disney offers so many magical experiences, I would love to help you plan your magical vacation to the Happiest place on earth for your family. Disney memories are ones to be cherished forever. All it takes is a little Faith, Trust, and Pixie Dust. I look forward to making your Disney dream come true, Have a Magical Day! Hi my name is Ashley and I have lived in Michigan all my life . My husband Matt and I have 2 little boys that keeps us busy. We love to go on family vacations and our favorite place is of course Disney World. My goal is to take the stress out of planning a vacation for you so you can enjoy just the fun part of being there in the moment. Since my first visit at the age of 2 in 1986, I fell in love with everything Disney. I now have 2 children of my own that I am currently converting them to Disney lovers! Any time my family goes, I am always the one that takes the reins planning parks, restaurants, and extra activities. Among vacationing in Disney world, as well as Disneyland once, I participated in the Disney College Program in the spring of 2004. I am very passionate about Disney and joined Magical Vacation Planners to not only follow my passions but to help others experience their own magic. I look forward to making your dream vacation come dream! Growing up in a home of Disney fanatics, Disney World was the classic destination for most of my favorite childhood memories! Marrying an amazingly supportive husband and becoming the mother to our two beautiful daughters has made me cherish memories that much more. Our family has grown to love the memories born from vacations! From Disney to cruises to the next adventure around the corner, we can’t wait for the experience! After resigning from the classroom to raise my children from home, I am putting my best skills forward to help plan your dream vacations! Dozens of family and friends have asked for my advice and assistance in planning and booking vacations through the years. After constantly being told that I should make my passion a career, I embraced my love for details and travel and became part of the team at Magical Vacation Planner. My goal is to help make your dreams come true and memories that will never fade! Life is short. Take the trip. Forget the details. Embrace the memories. Contact me today to start your next adventure! Ashley’s love of Disney started on her first trip in 1990. She and her family stayed at the Contemporary Resort and she remembers being fascinated by the monorail! She would return many times over the years with her family, then with her husband, and now with their own family, including their two children. Walking down Main Street, USA for the first time with her husband and kids ranks as one of the best experiences of her life! Ashley has also chaperoned two successful trips for cheerleaders attending national competitions at the ESPN Wide World of Sports. Ashley and her family are now starting to extend their love of Disney to the Disney Cruise Line, having taken two cruises in the past year with their third scheduled for summer 2018! Ashley and her family try to experience something new and uniquely Disney on each trip. From eating at new dining location to enjoying multiple dessert parties to surprising her family with a fireworks cruise, she can help you select the right Disney experience to complement your vacation! Ashley wants your family to experience the best Disney vacation that you can. A trip to Disney should be magical, enjoyable, and most importantly, stress free. Ashley can help you achieve that vacation. She is a meticulous planner who has an eye for details. 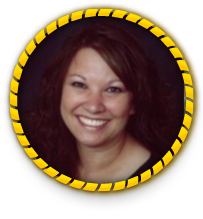 Whether it is your first trip or 20th, she would love to help your family plan their Disney vacation. 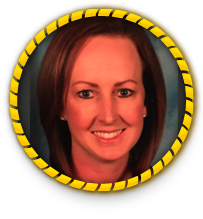 My name is Ashley and I am married to a retired Senior Chief and mother of two young kids. I have always had a passion for planning and enjoy traveling. My first trip to Disney was at 2 years old. I have been on a total of 7 cruises which include the Caribbean, Alaska and Europe. I’m happy to say that my latest cruise (2018) was with Disney on the Dream and can’t believe we waited so long to take one! I love all things Disney and stay up to date on the latest WDW, DSL and Disneyland news. I’m excited to plan your next magical vacation whether it’s your first or you tenth time. Once you get that “goosebump” feeling of being at Disney it won’t be your last visit! Areas of Focus, Walt Disney World, Disney Land, Disney Line Cruise, Royal Caribbean, Carnival, Princess, Celebrity, Military Families, First time travelers, Family Trips, Couples, Girls Trips, Honeymoon, Anniversary and other Special Events. I started going to Disneyland as a small child, and I’m so happy to pass on my love for Disney to my family and now to you! We have traveled to Disneyland and Disney World, the Aulani, and soon to travel the Disney Cruise for the first time. I want to help everyone I can find their love for Disney and witness the amazing hospitality as only Disney vacations truly can offer. As a working mom of four daughters and a fire wife, it’s important for me to help others fulfill their need to connect as a family and feel taken care of at every turn while making memories. I look forward to helping new friends and family experience the Magic that I have loved since I was a little girl. Austin has been vacationing at Disney since he was 3 and loves it still to this day. He loves the memories that are made and would love to help you create yours! Autumn has been vacationing at Walt Disney World Resort since she was seven years old. Autumn loves the the magic of Disney, and has shared that magic with her husband and children for many years. Autumn has traveled with her family to Walt Disneyland Resort and Walt Disney World Resort with her husband and children, since they were infants. They’ve had multiple extended family trips, with Grandparents, Aunts, Uncles & cousins, so she knows how to manage and plan for large groups. Autumn and her family have stayed at many different types of Disney Resorts, from Value to Deluxe, so she can answer your questions regarding pools, hotel activities and more! Autumn loves Disney Weddings and is hoping to renew her wedding vows there soon. Autumn believes that everyone should experience Disney and all the magic it has to offer at least once in their lives. Because with just a little faith, trust and pixie dust anything is possible. Azlyn has been all about Disney since she was a little girl, and has grown up to love and appreciate all the special details and magic that a Disney vacation brings. Azlyn and her family have been Disneyland AP holders since the early 2000s, and since getting married in 2016, her husband has now joined in on the Disney fun! Including Disneyland, she’s visited the WDW Resort and Disneyland Paris (with Tokyo Disneyland and Tokyo DisneySea next year!). It’s on her bucket-list to visit every resort worldwide! Her love of Disney grew deeper after being a Disneyland Cast Member, and her travel bug has been biting and leading her to incredible destinations each year, international and domestic. She’s visited 26 of 50 states, and 5 countries, and will now be adding cruising (and 2 more countries!) to her list this year! 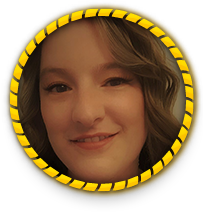 She loves creating magical experiences for every trip, and with Azlyn’s attention to detail, she’ll always find ways to help you get the most out of the MAGIC! 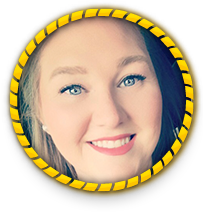 It has been Azlyn’s dream to help others discover the magic of Disney, and believes that she can help you create the most memorable vacation yet!